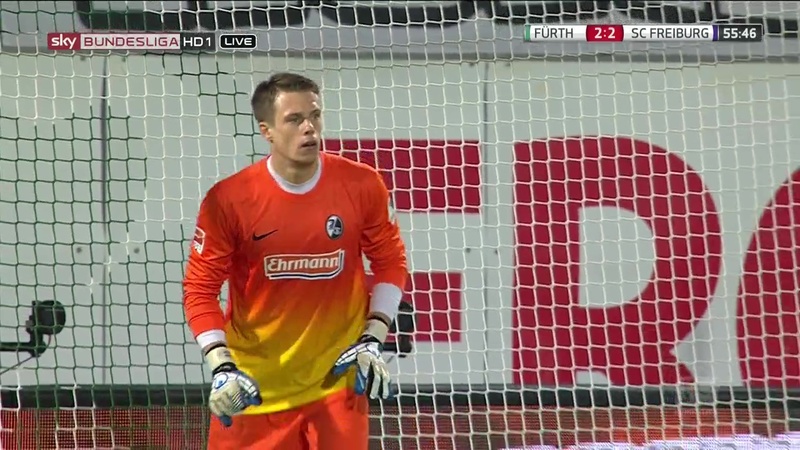 Last time Freiburg played Greuther Fürth they ran out comfortable winners with a 5-2 scoreline. 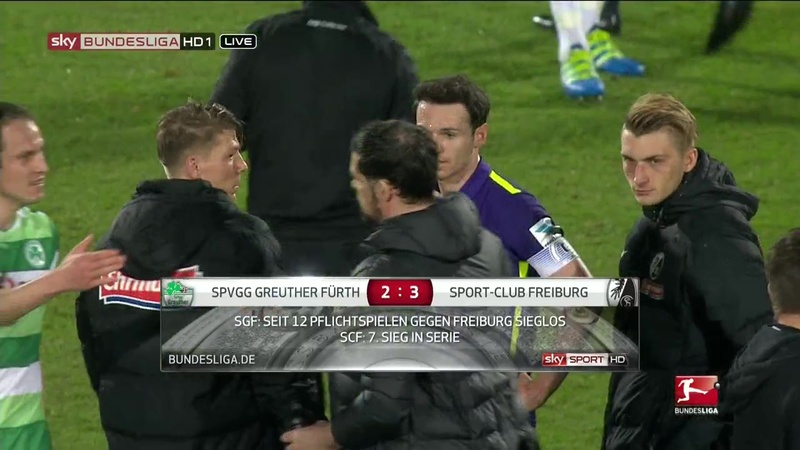 Since then Fürth have obviously learned some lessons from that defeat. It was a must win game for Freiburg but then with so few games left to play and the situation at the top of the table they all are at this point. 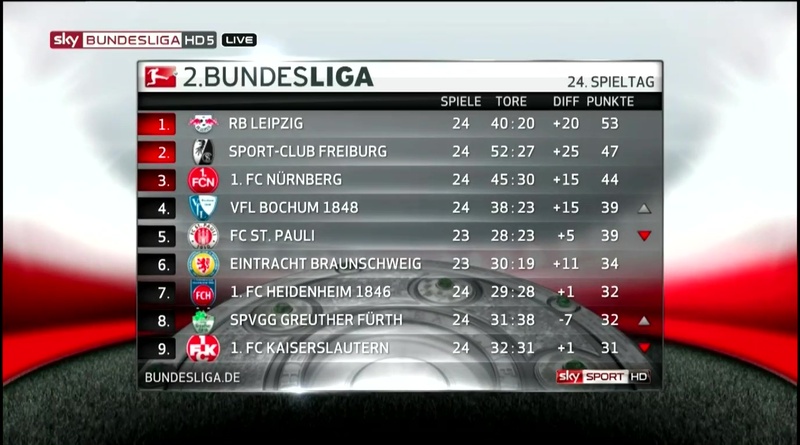 With 1.FCN and Leipzig both having won at the weekend losing or even drawing simply wasn’t an option. 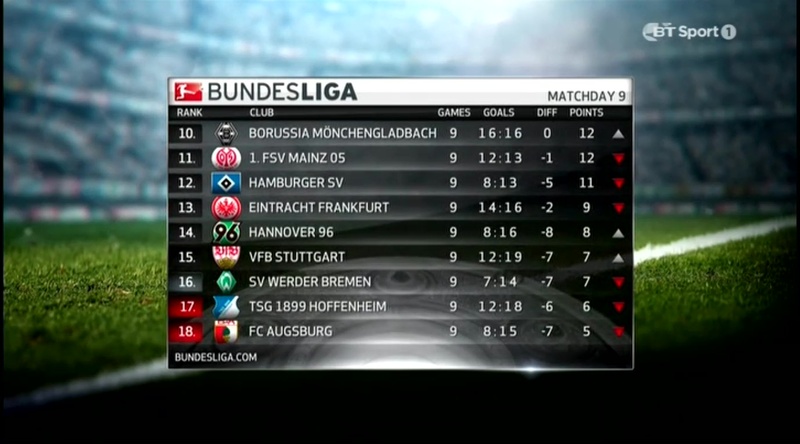 Winning would also mean extending their six wins in a row to seven. 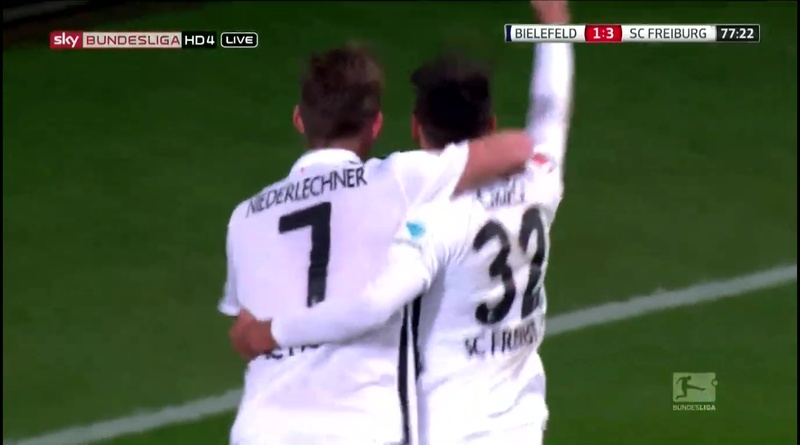 On that count it’s fitting then that Niederlechner would score the first goal given he wears number seven. 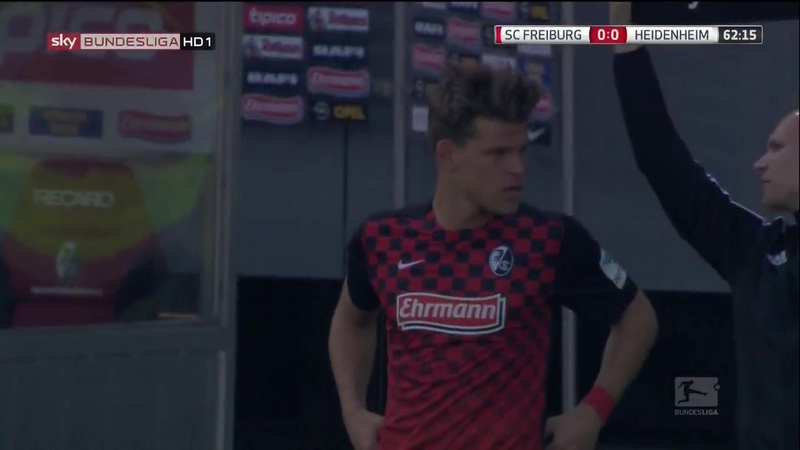 Interestingly enough former Freiburg player Sebastian Freis scored in the reverse of the fixture as well, though his goal was pretty meaningless then given that Freiburg were 4-0 up at the time. 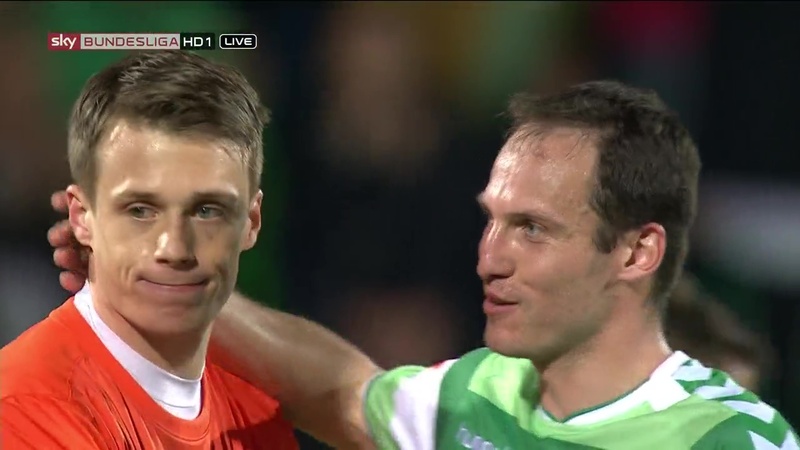 It certainly wasn’t meaningless this time round, he got the equaliser. 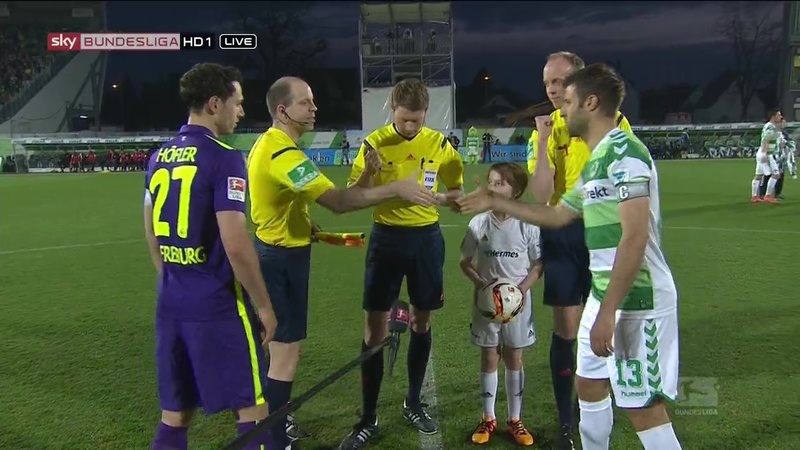 Given the result last time I was sure this one would turn out to be a relatively entertaining encounter. 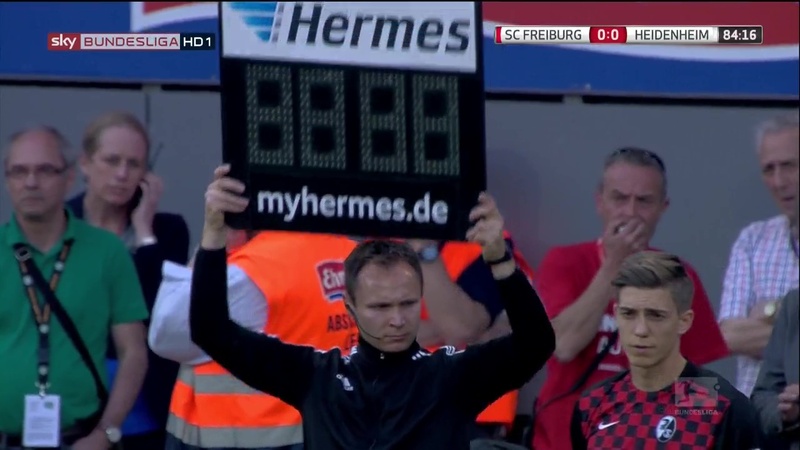 What I hadn’t counted on was Freiburg taking such an early lead. 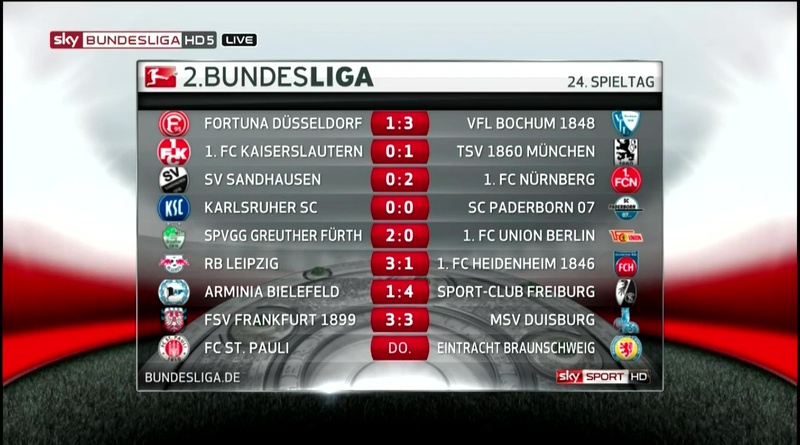 Of course it turned out to a little too good to be true but they got the three points in the end. 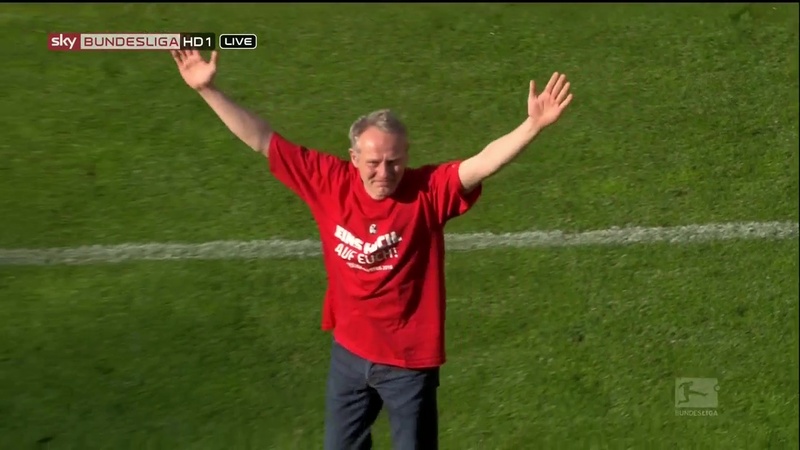 I know Christian Streich isn’t entirely happy with the result and you can see why but that goal is still awesome, just one minute and 38 seconds. 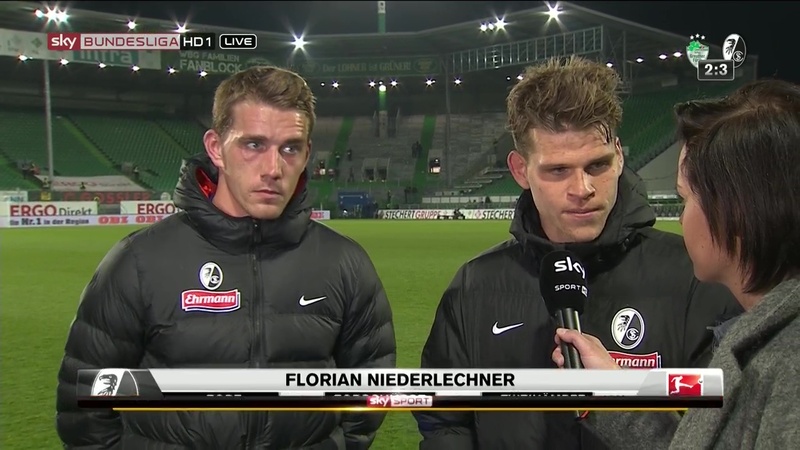 Florian Niederlechner certainly making his presence felt after his return from suspension. 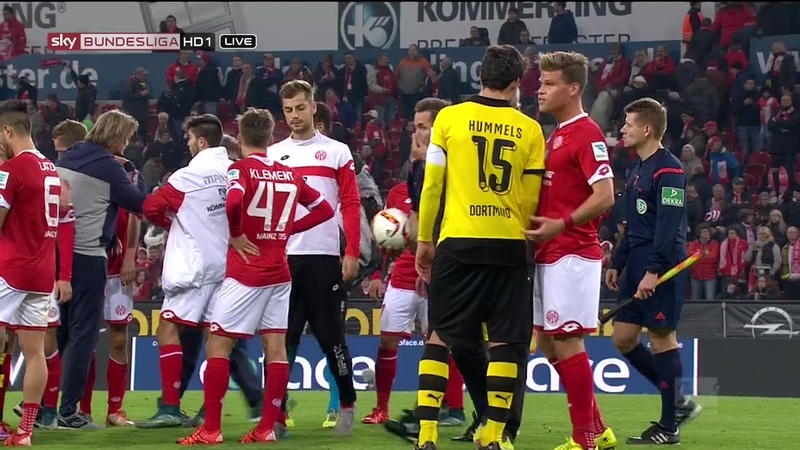 It wasn’t the first action in the game though, that was a free kick a mere seven seconds in, taken by Vincenzo Grifo of course. 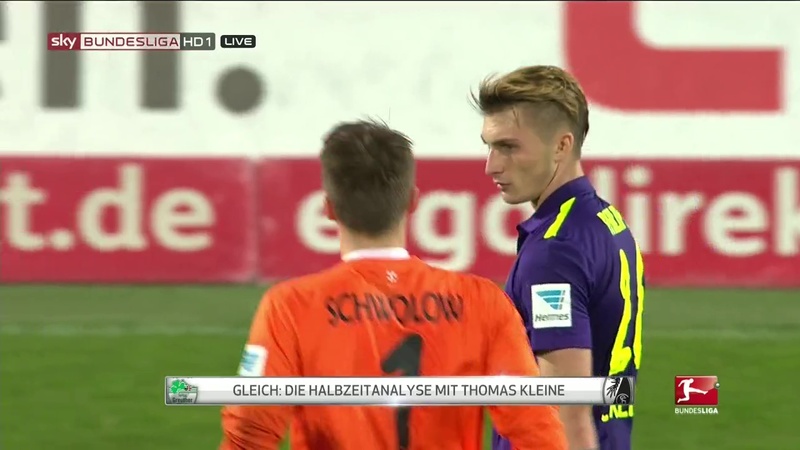 As for the goal Maximilian Philipp gets the credit for the assist though his touch looked a little more lucky than deliberate. 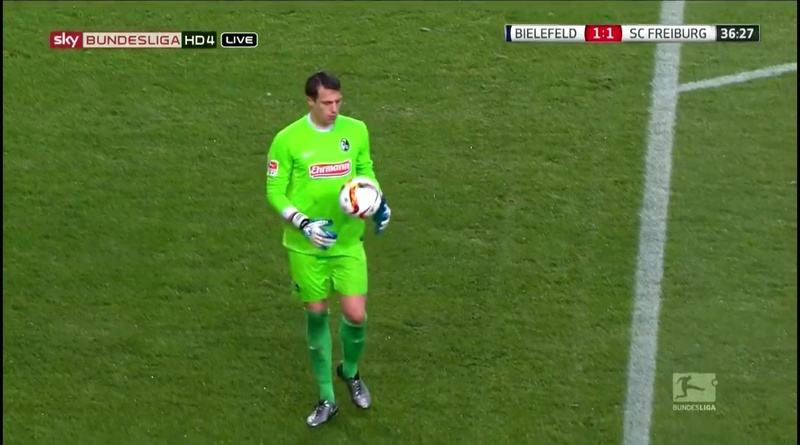 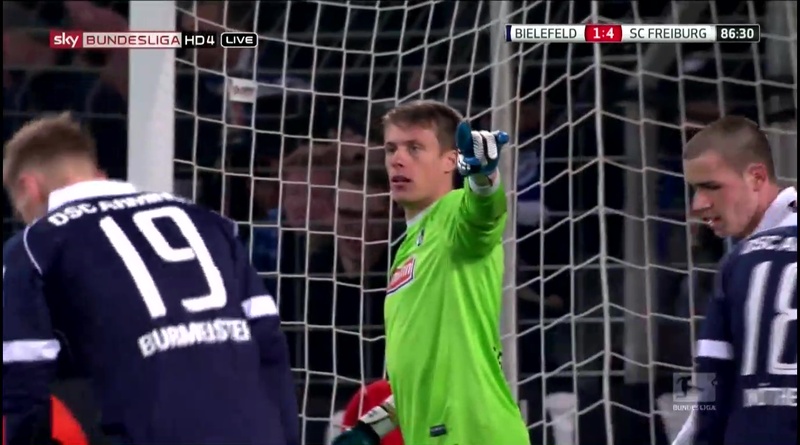 Either way Niederlechner got the ball, managed to keep his footing and put it through the keeper’s legs. 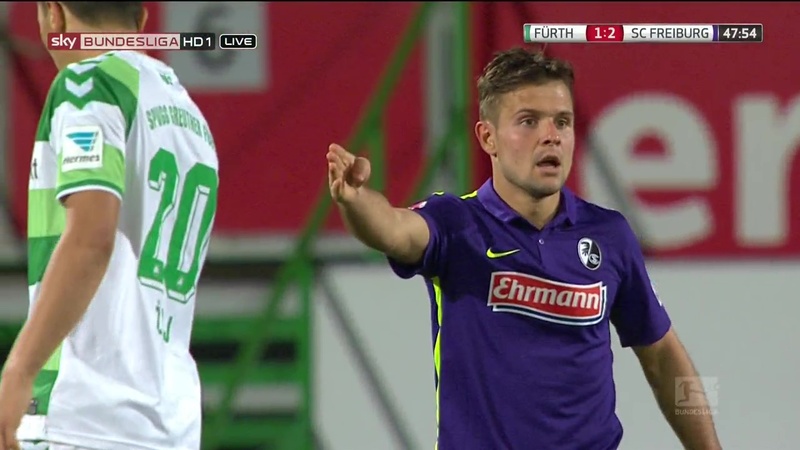 I’m guessing that wasn’t part of Fürth’s master plan. 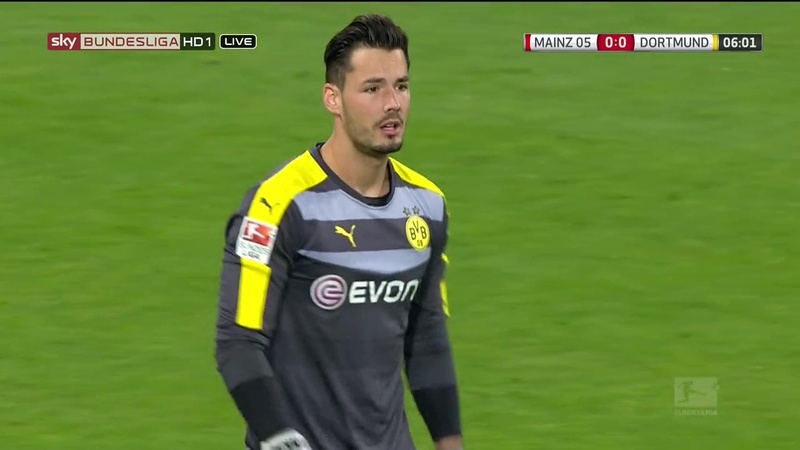 Despite the very quick opening goal neither keeper had a great deal to do in the opening ten minutes. 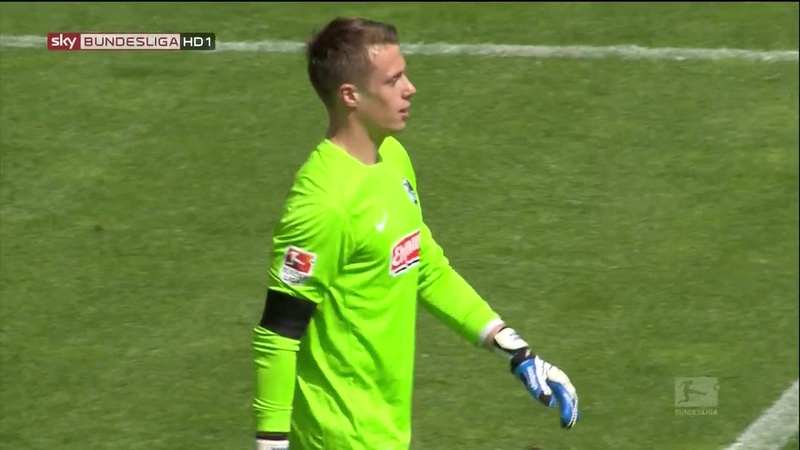 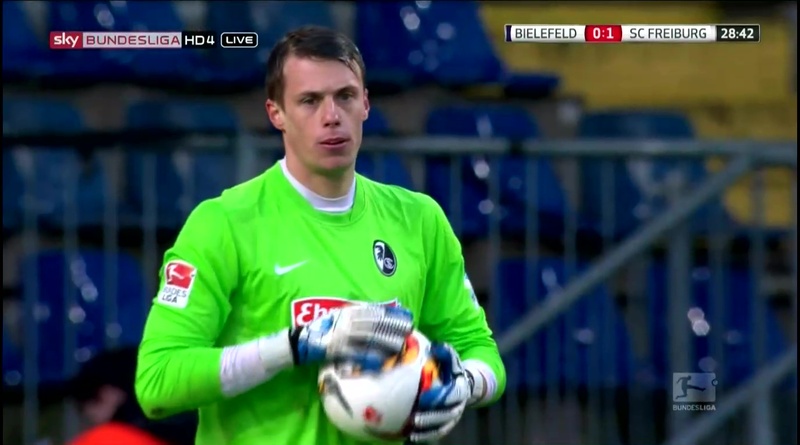 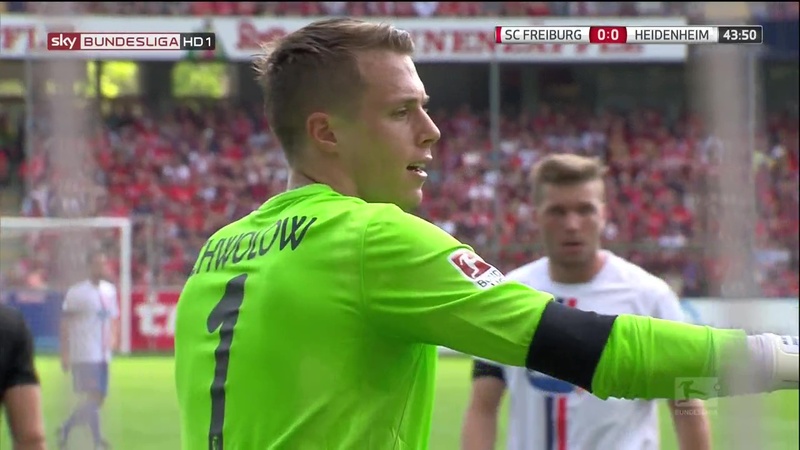 Schwolow didn’t have a save to make until 15 minutes in when Fürth made their first attack. 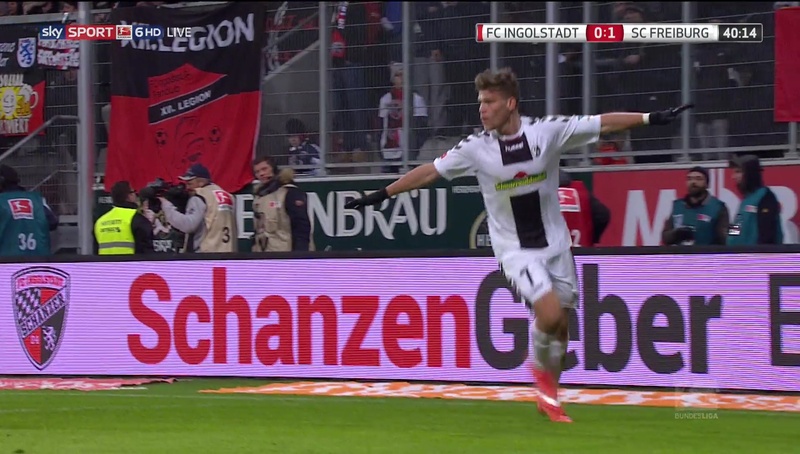 Schwolow tipped Stiepermann’s shot over the bar. 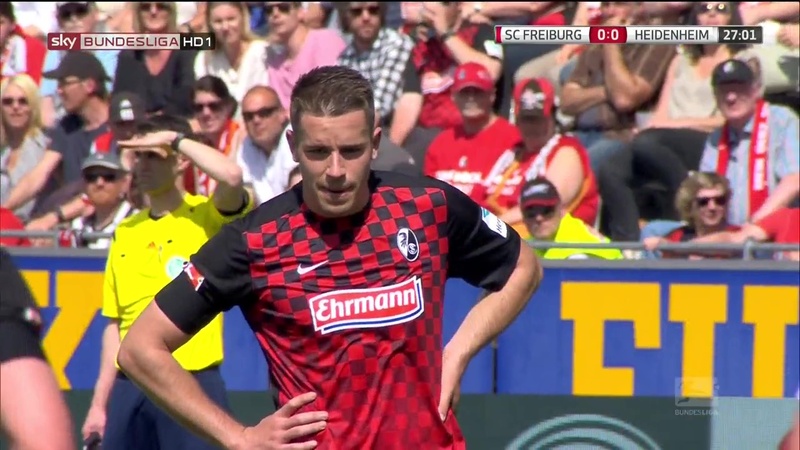 Freiburg kept them busy chasing the ball to be able to put anything together before then. 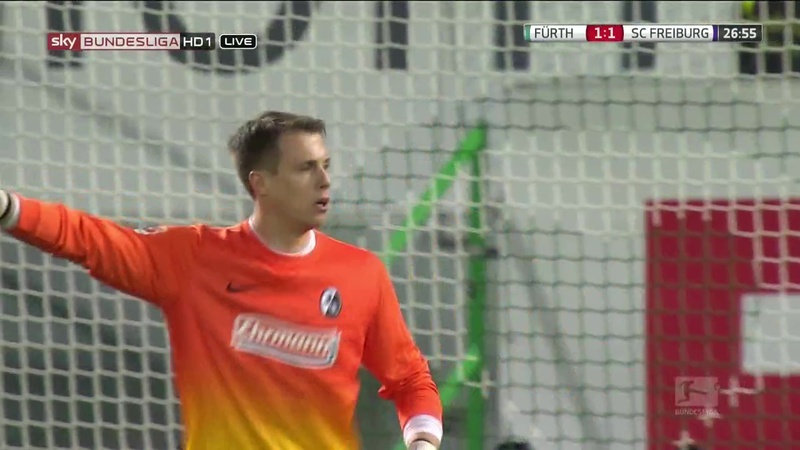 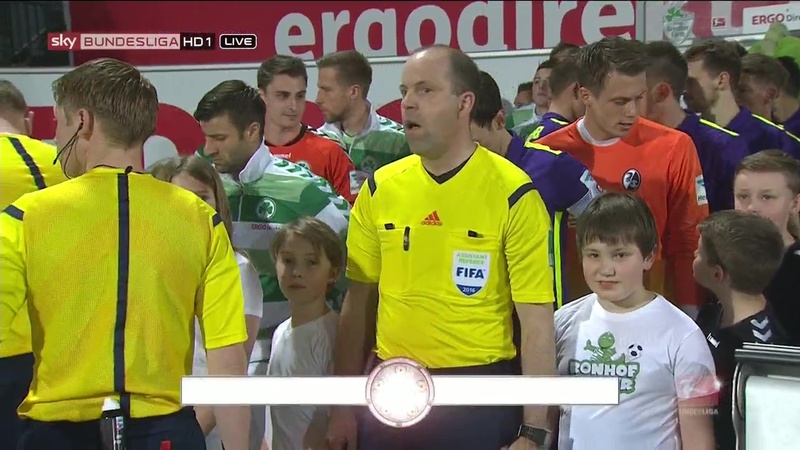 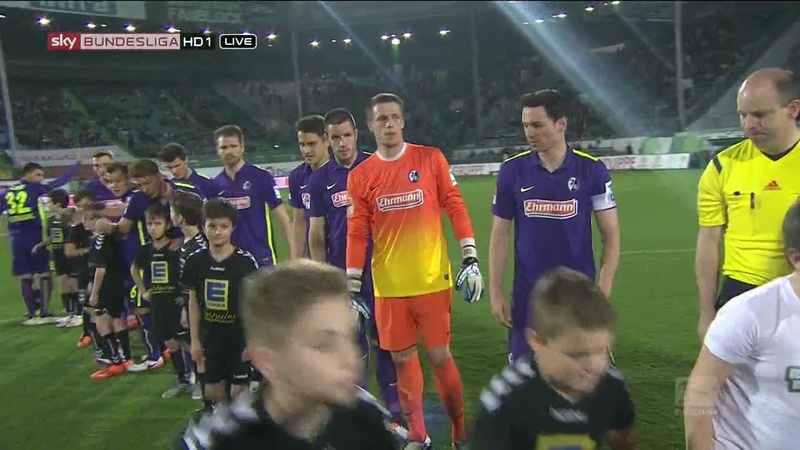 To Fürth’s credit they didn’t lose their composure and they didn’t allow Freiburg any real chances either. 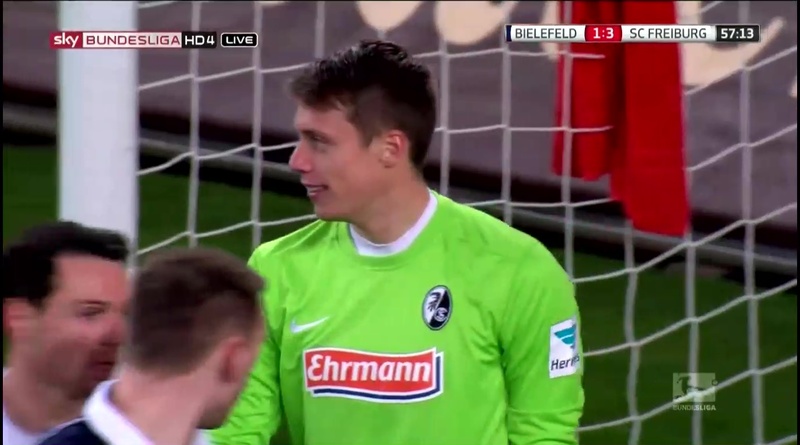 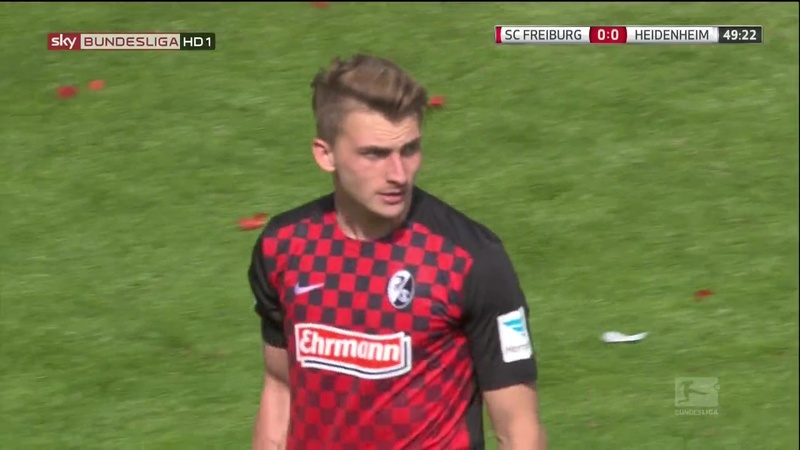 Freiburg’s next chance came in the 21st minute when Philipp almost got on the other end of Grifo’s corner. 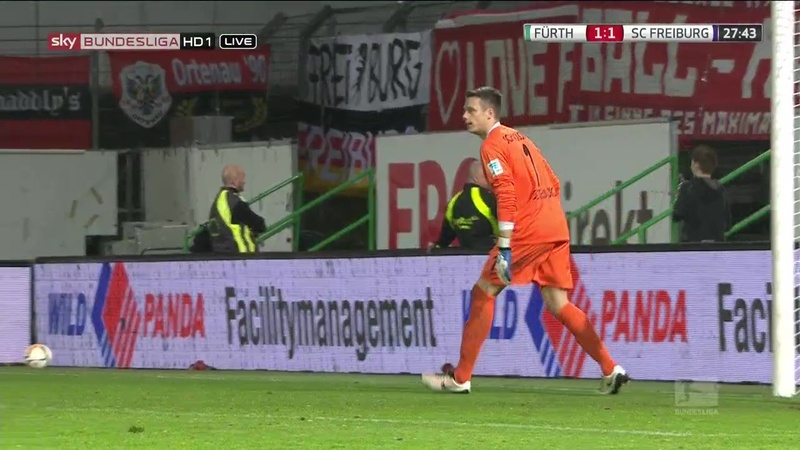 A few minutes later Fürth got their equaliser, Sebastian Freis creating the opportunity for himself and then putting the ball past a helpless Schwolow. 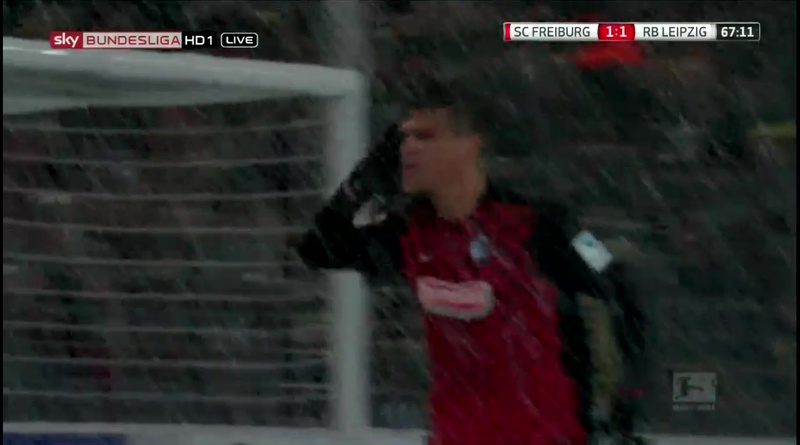 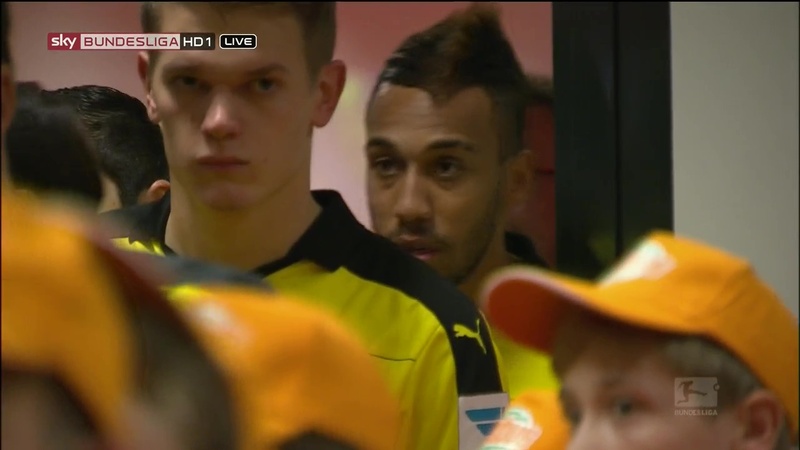 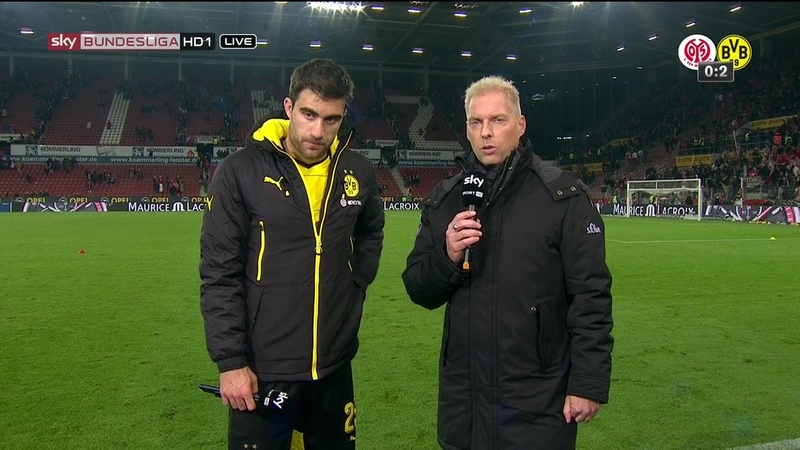 This no doubt was part of their plan, staying cool and not letting Freiburg get to them. 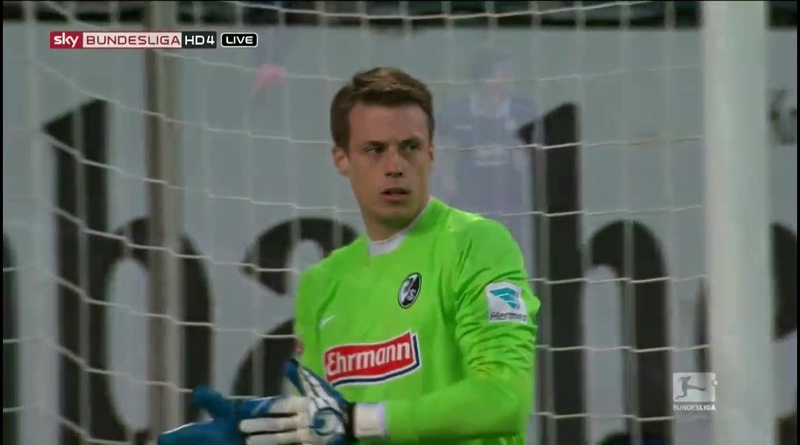 Freis saw his chance and he took it. 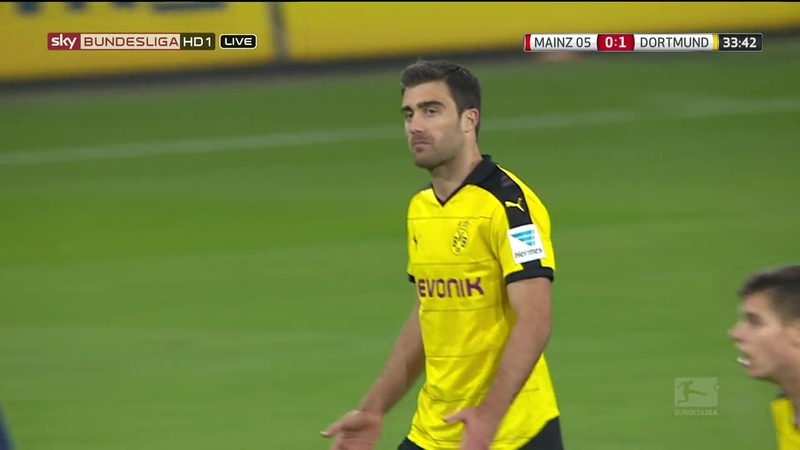 Things continued in much the same manner, a few chances for both teams and possession changing hands fairly quickly. 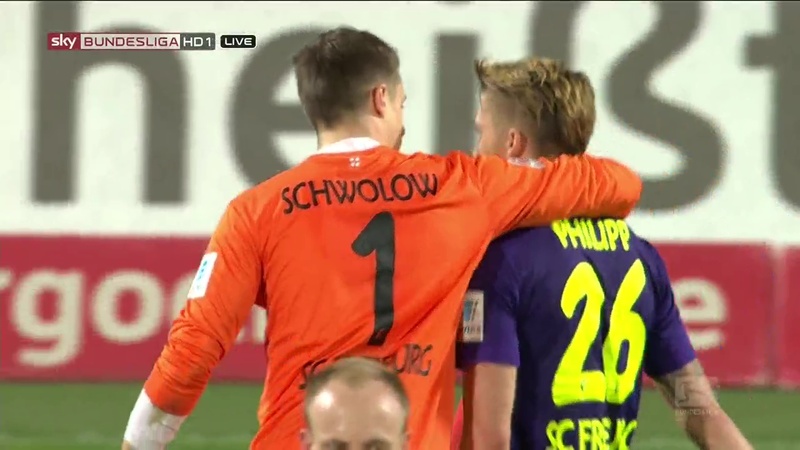 The next goal could realistically have come from either team but it was Freiburg who scored next, Maximilan Philipp getting himself a very nice goal indeed. 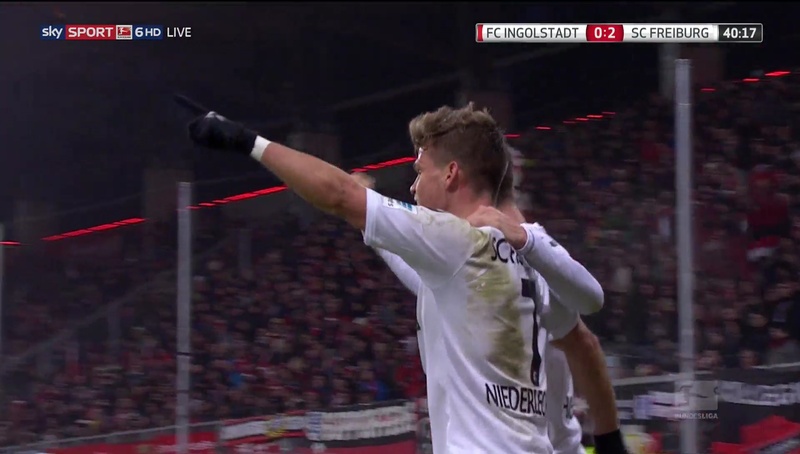 For the first goal Philipp provided him with the assist and in return here Niederlechner along with Frantz managed to help him out. 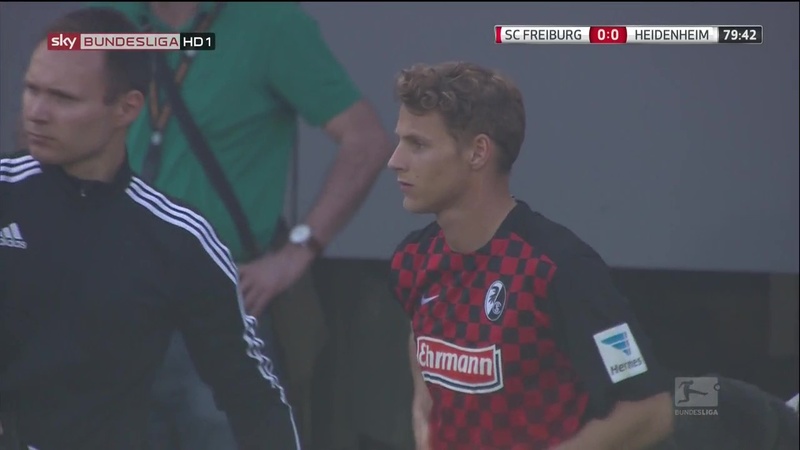 So Freiburg went into the break with a 2-1 lead, little of note happened between Philipp’s goal and the end of the half. 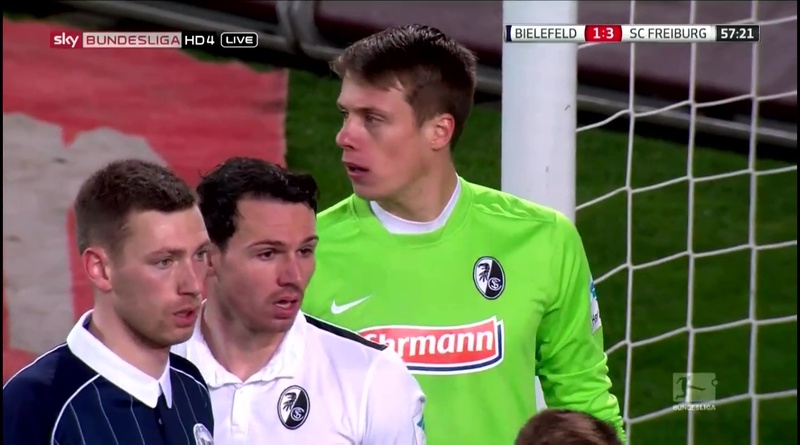 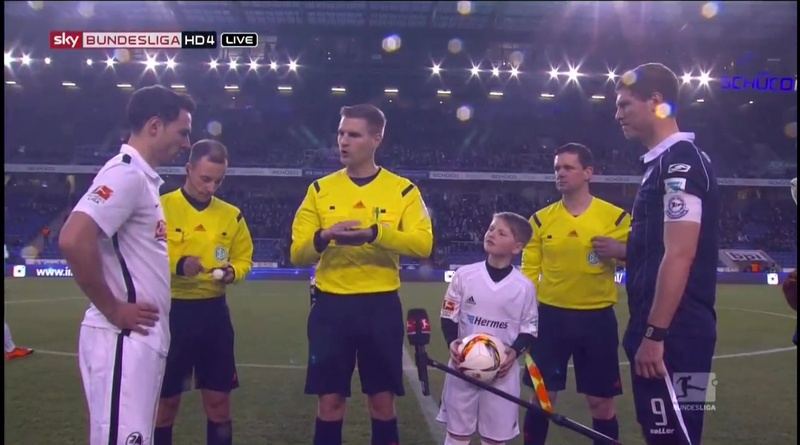 Apart from a dangerous looking ball into the box which was adequately dealt with by Höfler. 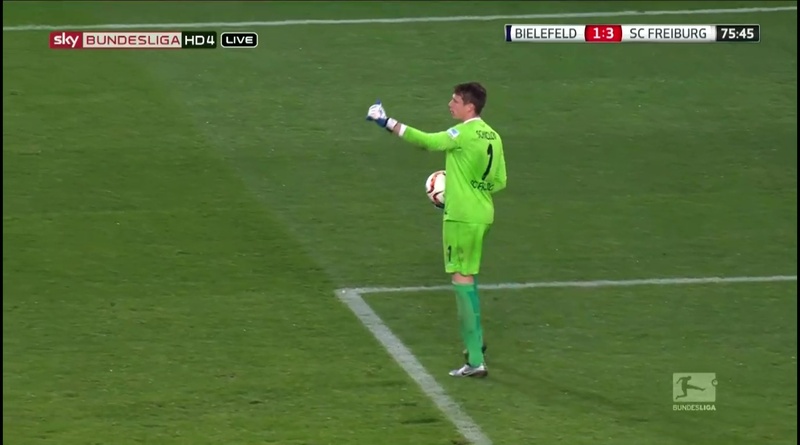 The resulting corner proved no problem at all. 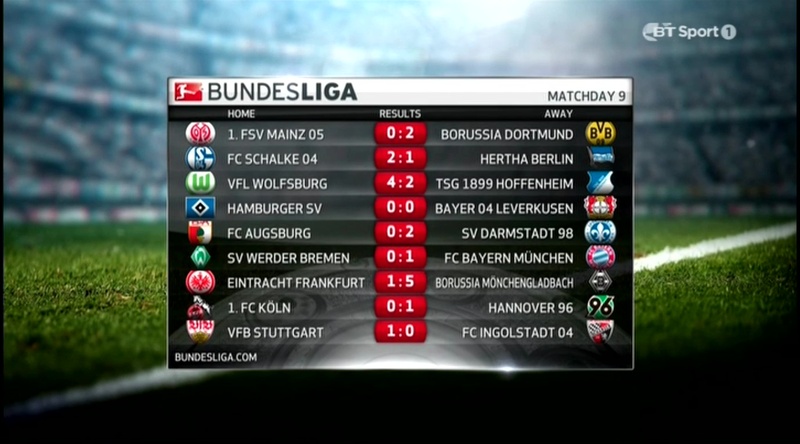 Overall it proved to be a most entertaining first half with plenty going on and the game moving at a nice pace. 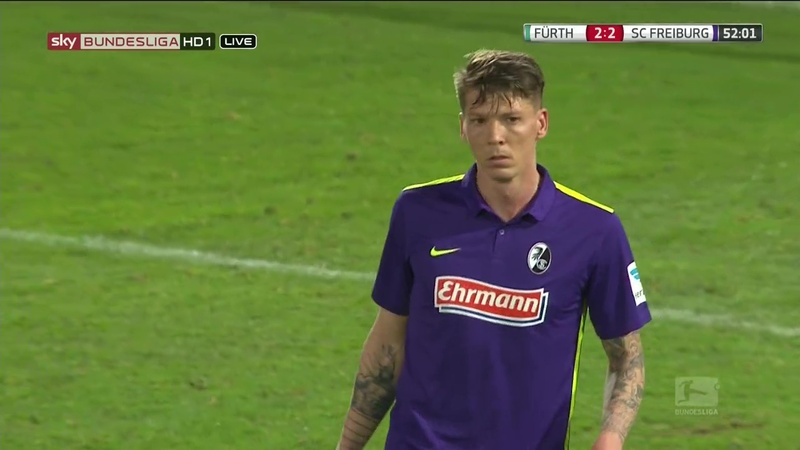 Though Fürth were a little too close for comfort and would remain so for the rest of the game. 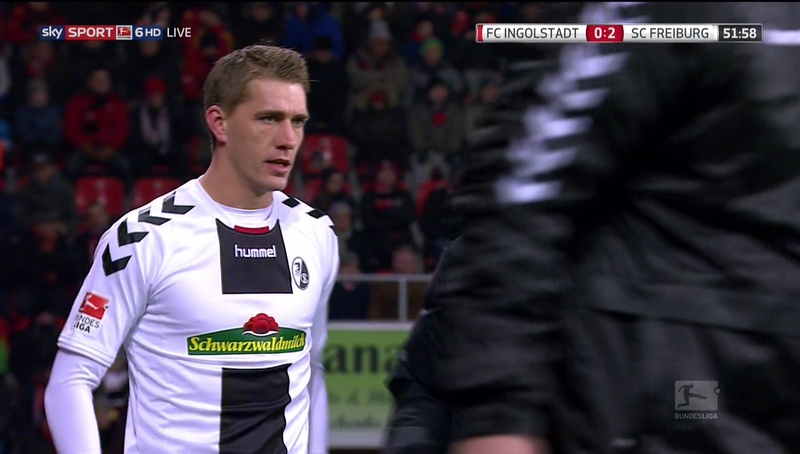 They were the better team at the start of the second half, making life a little uncomfortable for Freiburg. 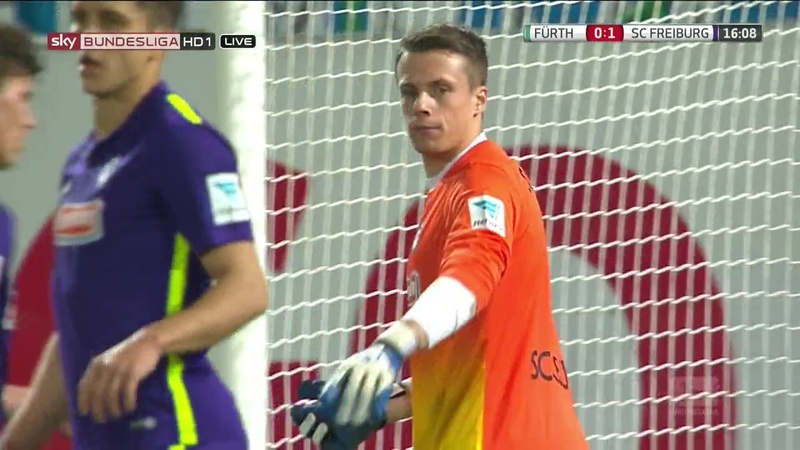 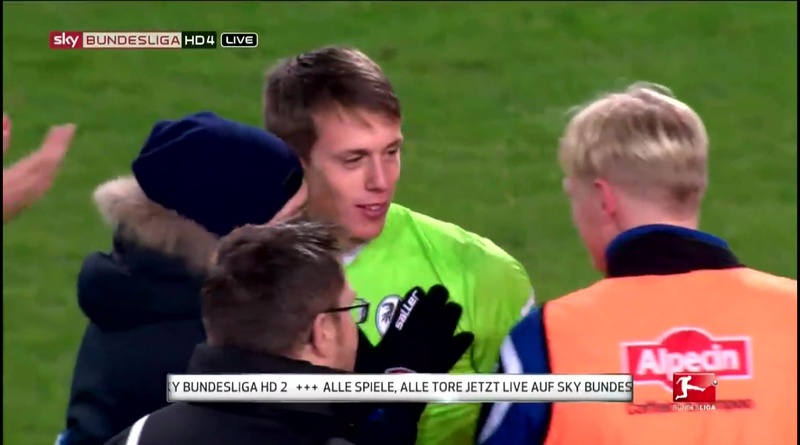 One such moment occurred in the 49th minute when Schwolow was left scrambling for the ball and Fürth almost got themselves a free shot on goal before Höfler took care of it. 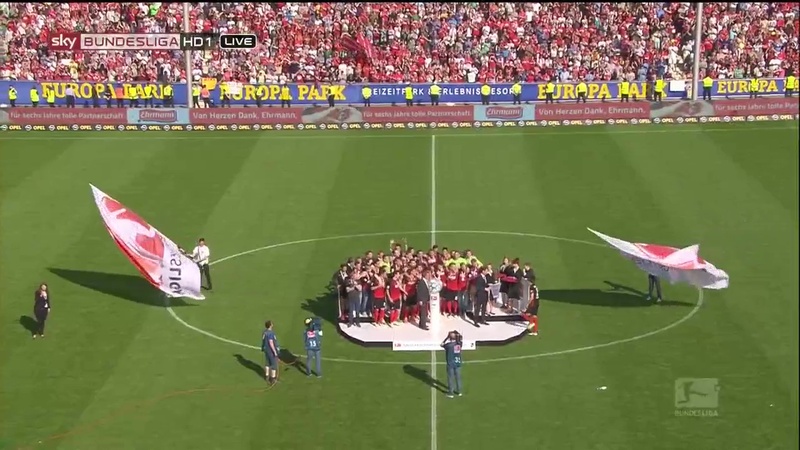 Unfortunately it wasn’t the end of the trouble. 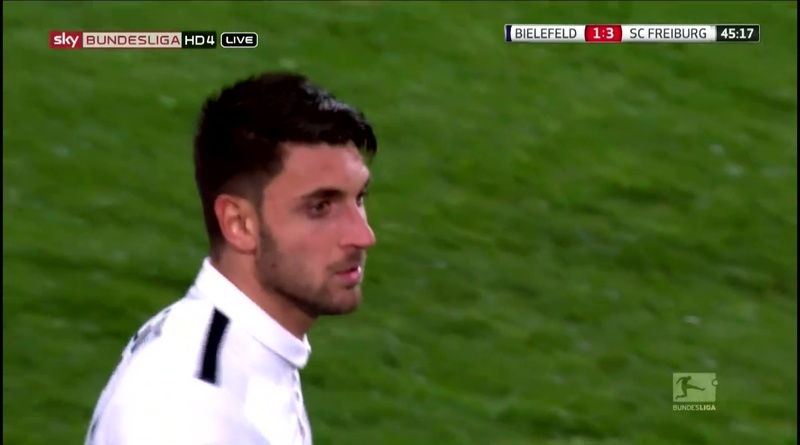 Just a minute later a not so good clearance from Grifo gifted the ball to Zulj who without hesitation put it past Schwolow. 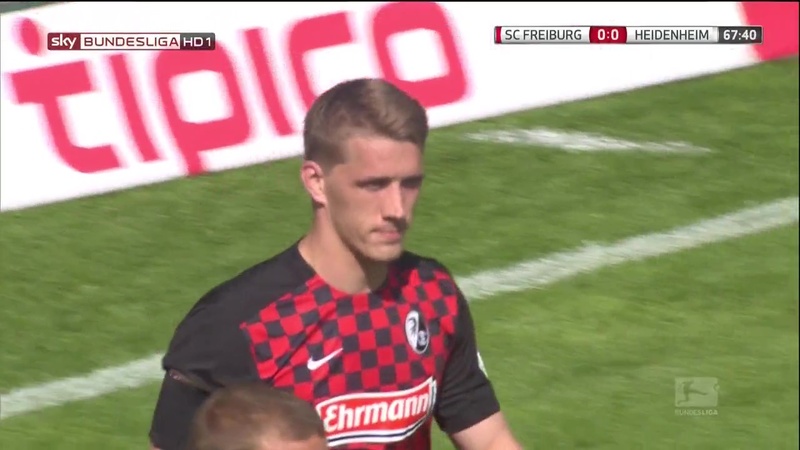 With the game perhaps slipping away from Freiburg Christian Streich prepared to resort to a tried and trusted method, bringing on the ever reliable Nils Petersen. 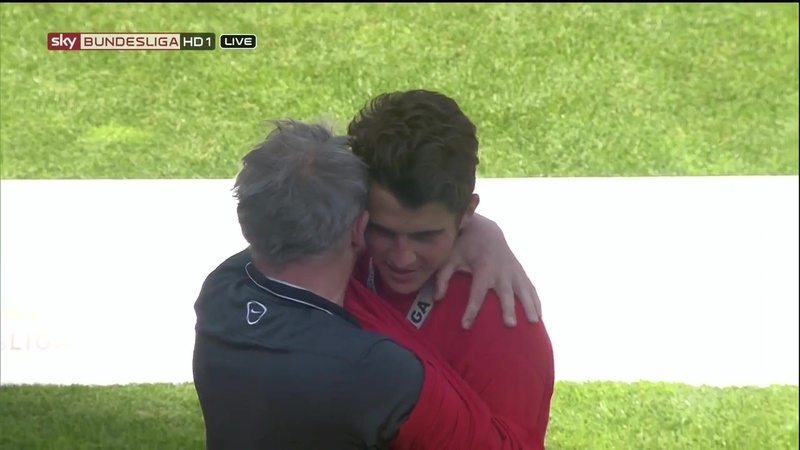 As it turned out they didn’t need him because Vincenzo Grifo making up for his earlier error scored the winner just eight minutes later. 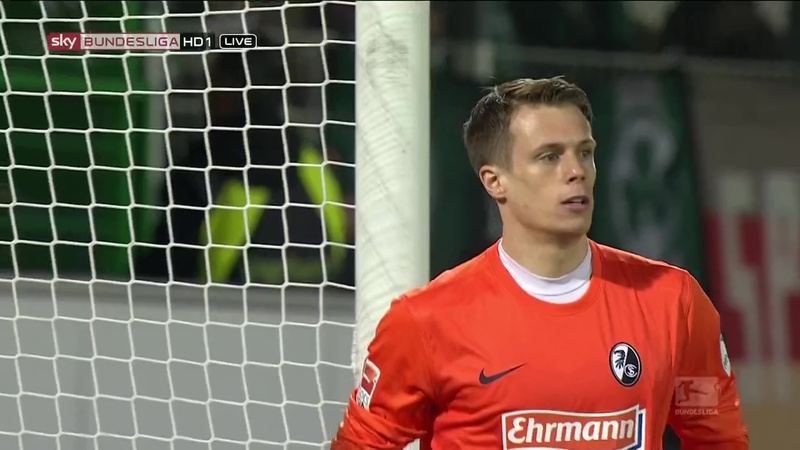 Maybe Petersen’s so lucky you just have to think about him and you get a goal. 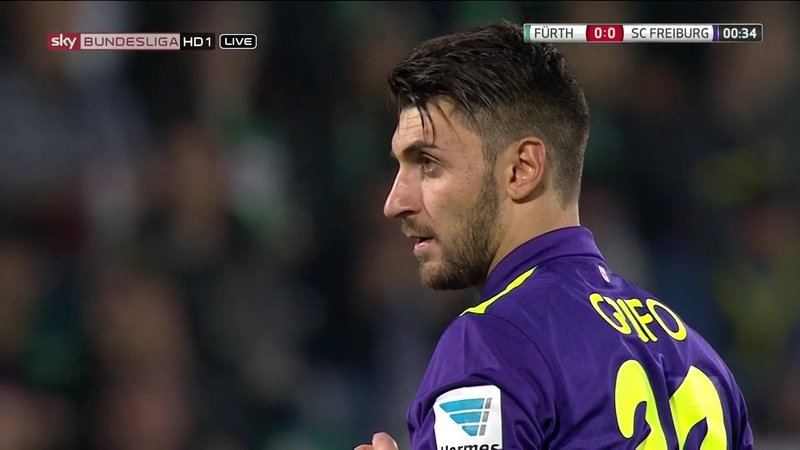 It was partly due to luck that Grifo scored anyway, he took advantage of an unlucky deflection and the rest was his usual ice cold ruthlessness. 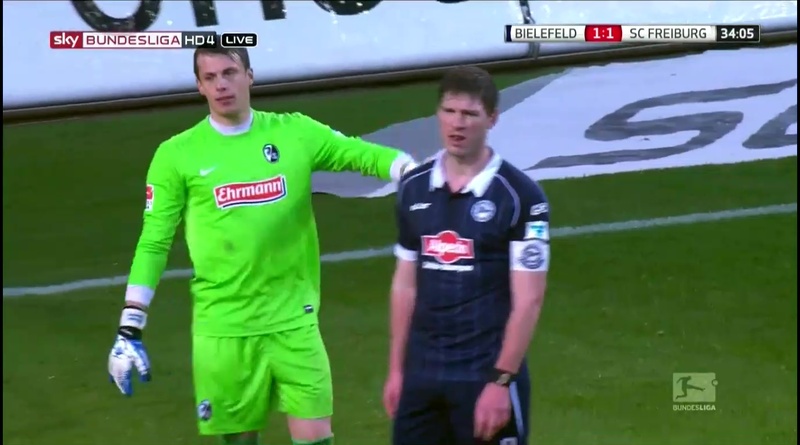 Picking up on the mistake he wasted no time in taking his shot and getting the ball past two defenders and a helpless Sebastian Mielitz. 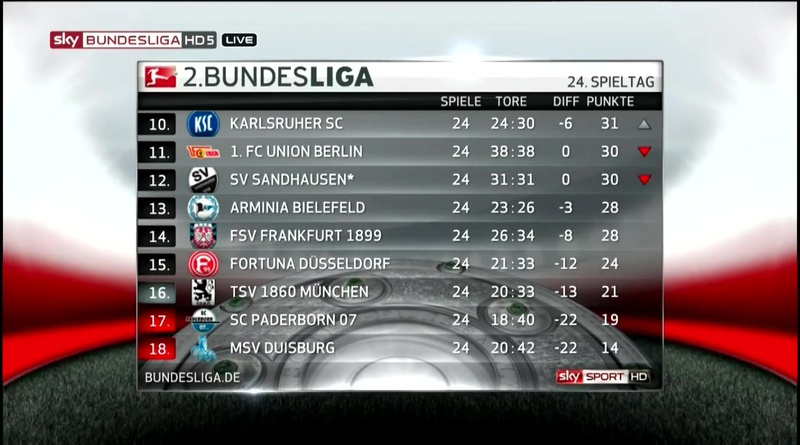 From that point on it was destined to be a repeat of the KSC game, just holding on until the final whistle. 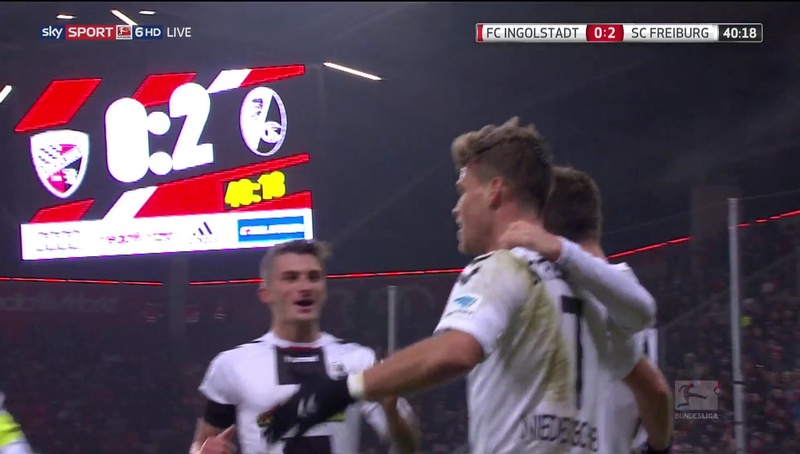 They did get a few chances to increase their lead, notably Niederlechner got a great chance in the 60th minute in a move which mirrored his goal in the first half, this time however he couldn’t take advantage of it. 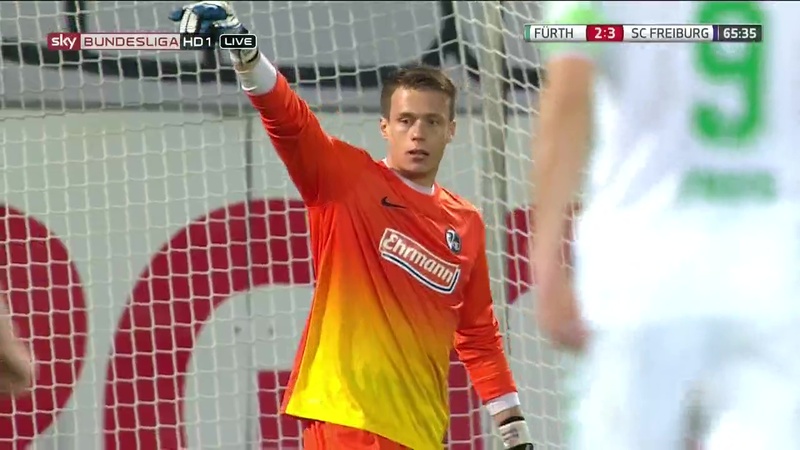 Fürth however were still by far the better team and had plenty of chances of their own to level the score. 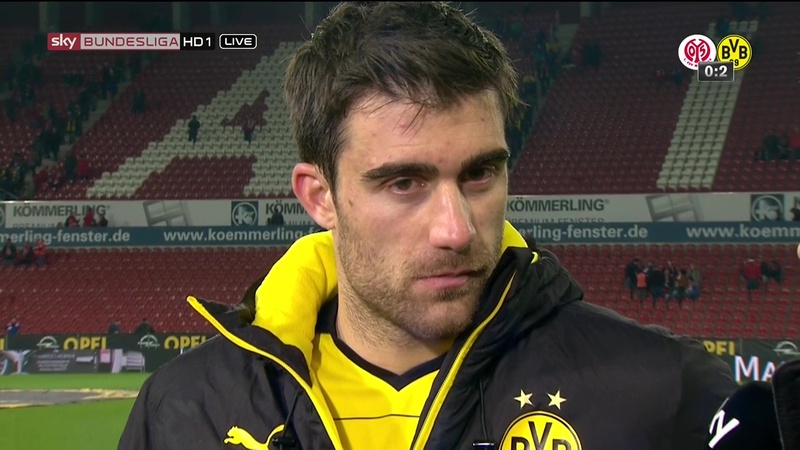 One thing’s for certain the remainder of the second half did not make comfortable viewing. 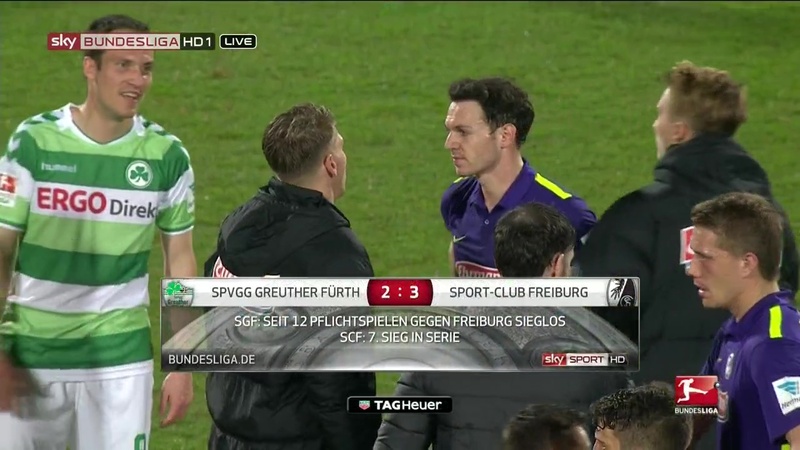 Fürth continued their search for an equaliser but luckily most of their attempted crosses and shots were off target in the final few minutes. 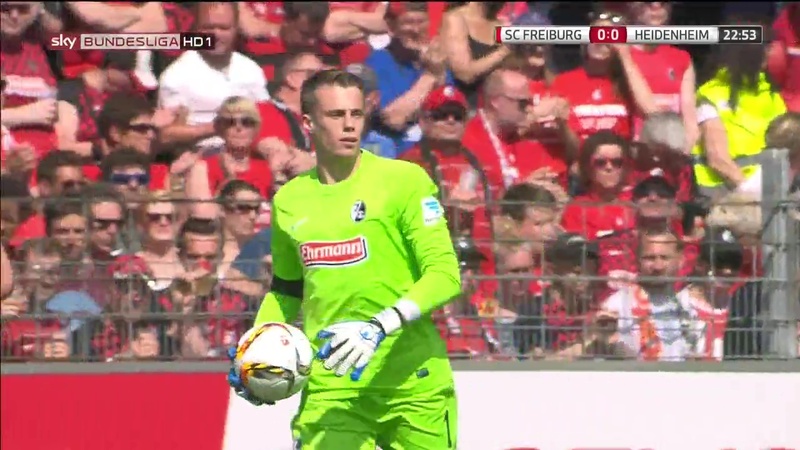 Freiburg for their part were committed to defending with Petersen upfront alone mostly. 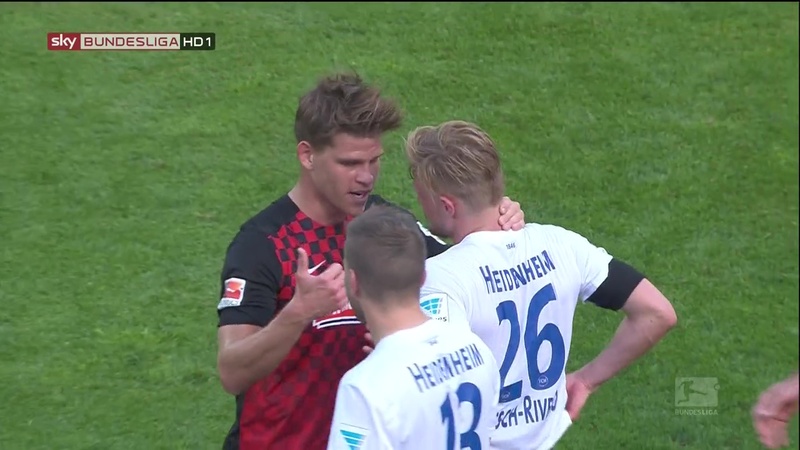 Just 30 odd seconds or so before the final whistle Petersen and Abrashi had the chance to make it 4-2 but Petersen’s pass was a little under-hit. 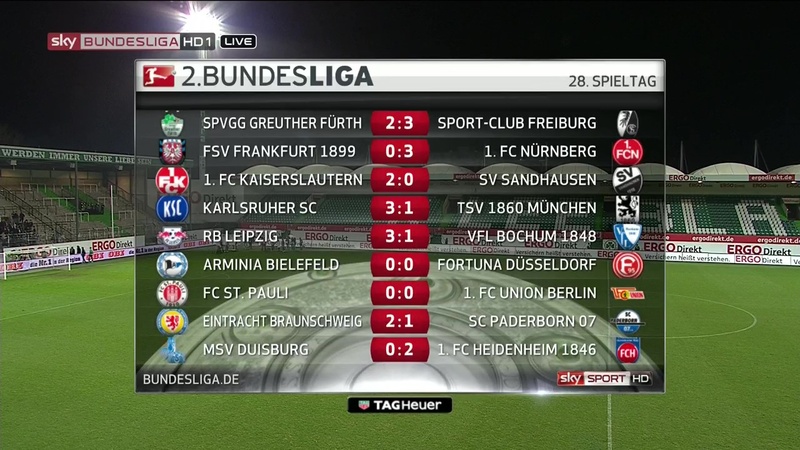 And then that was that, after two minutes of extra time it was finally over. 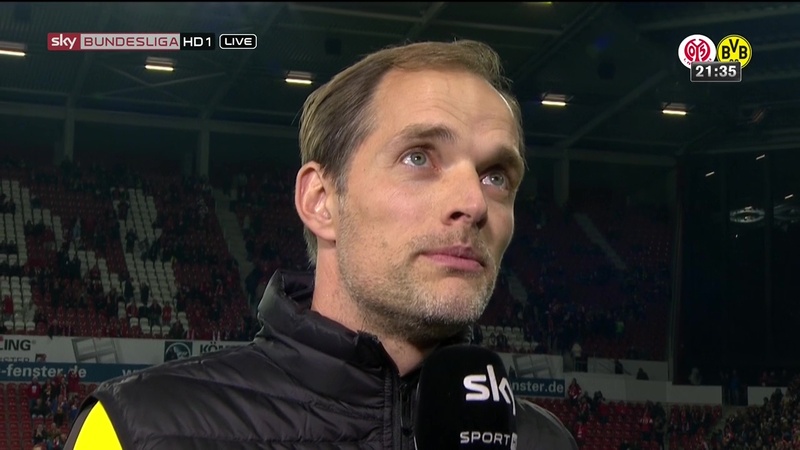 Christian Streich whilst no doubt glad of getting the three points was not a happy man at the final whistle, the complete lack of reaction from him at the end of the game made his feelings perfectly clear. 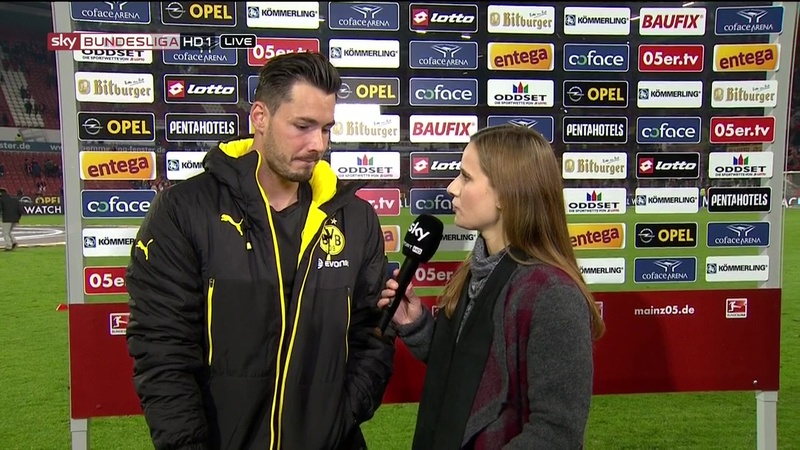 As did his very short post-match interview (if you can call it that) not long afterwards, for once I had no trouble understanding him. 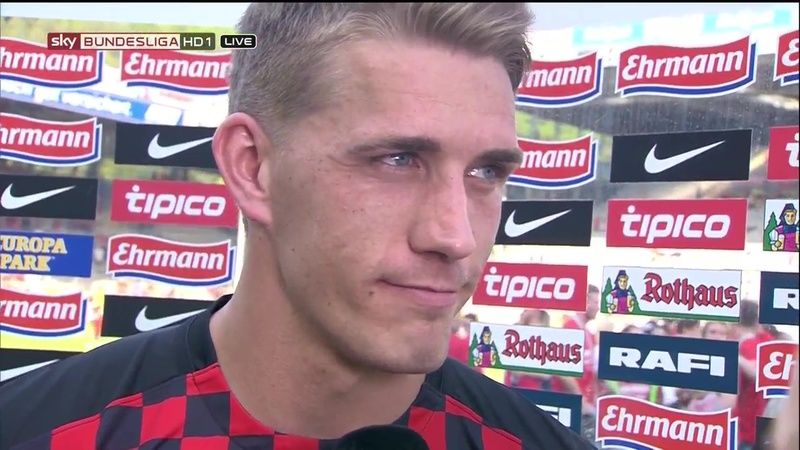 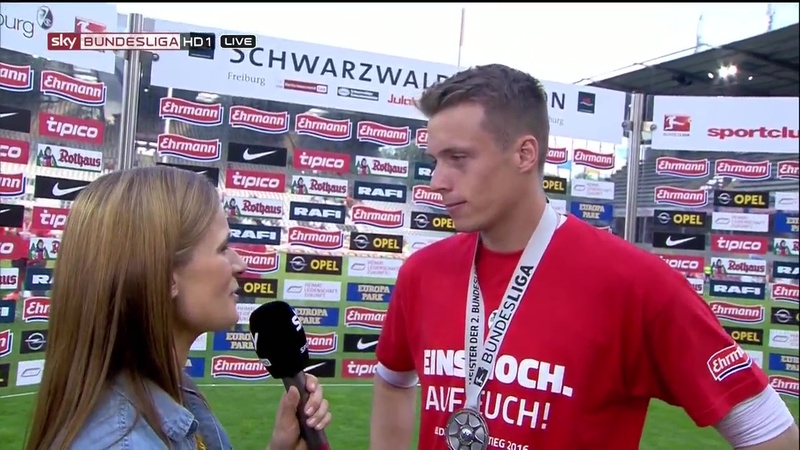 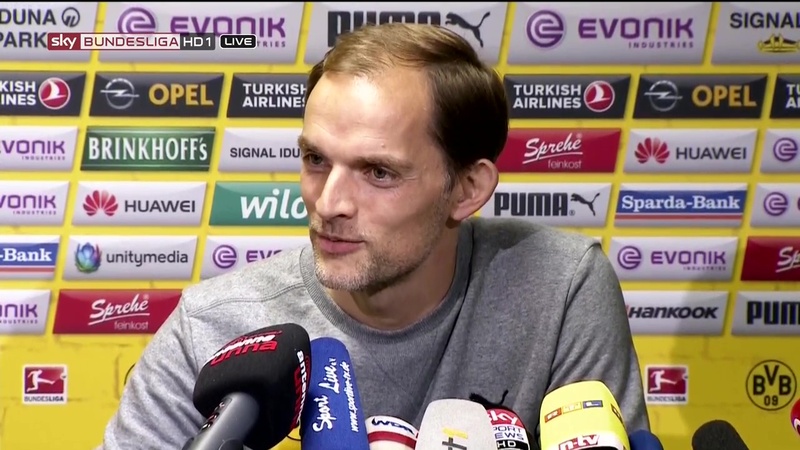 He said that Fürth were the better team and that Freiburg were lucky to win, which is true. They’re going to need to do much better next week against St Pauli, that much is obvious. 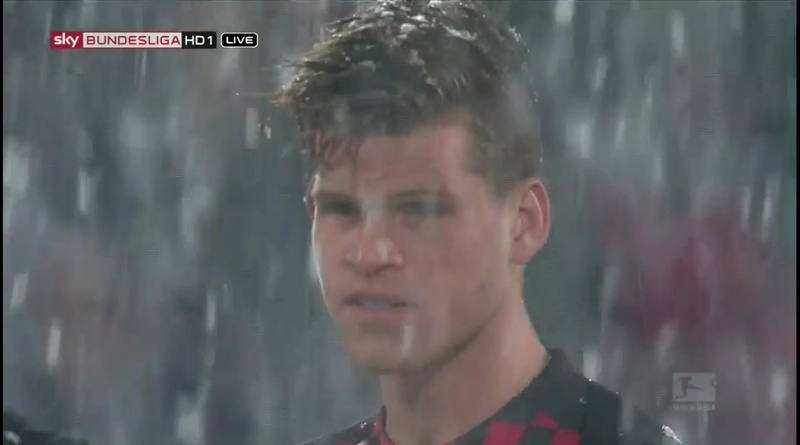 It’s not just him being a perfectionist, he’s right. 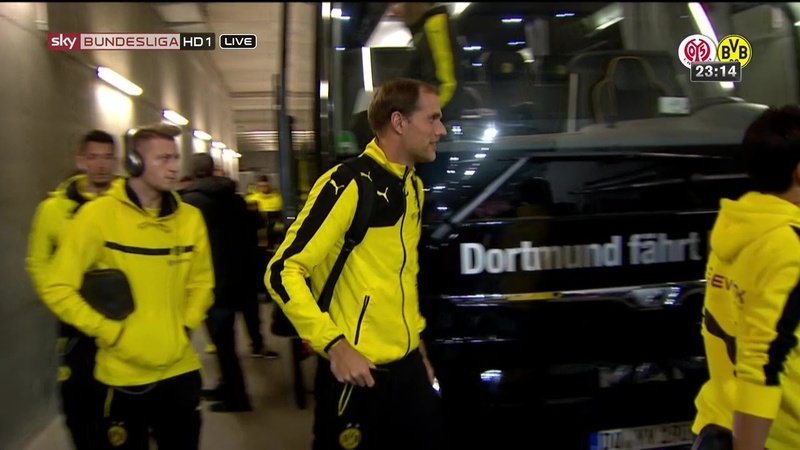 They can’t slack off now or take anything for granted. 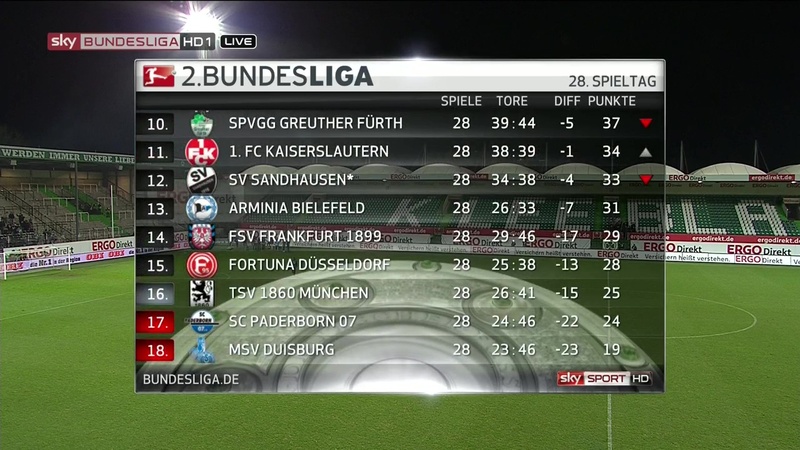 With six games left and the top of the table so tight nothing can be taken for granted. 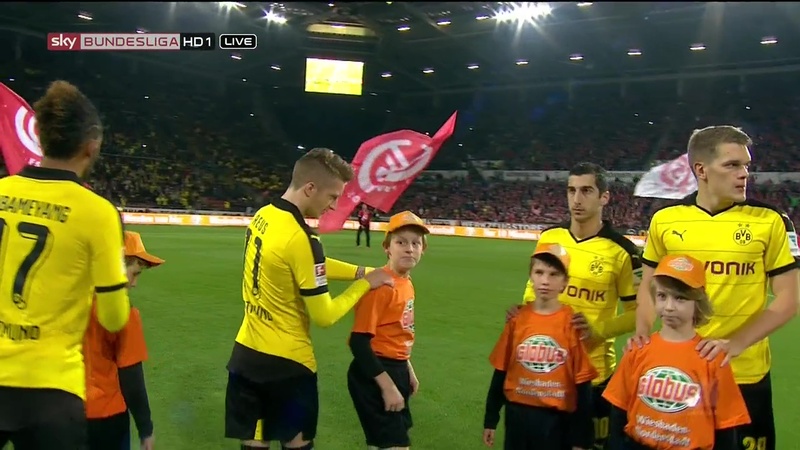 Coming into MD9 Dortmund were without a win in three games, their last win being a 3-0 defeat of Leverkusen on MD5. 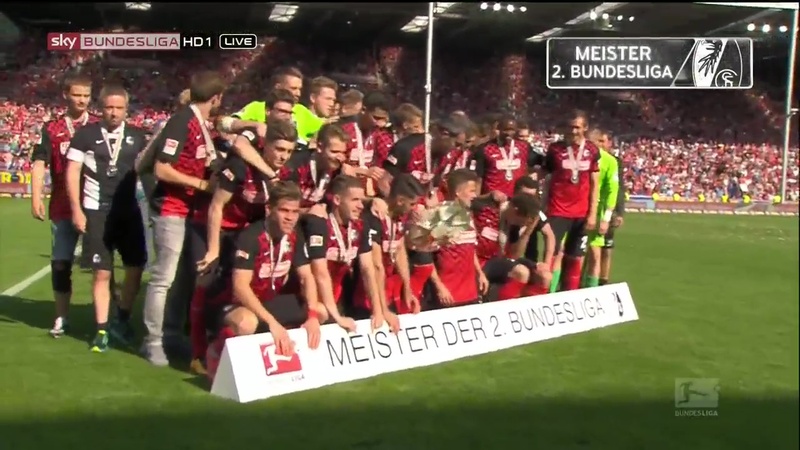 They followed that up with two draws against Hoffenheim and Darmstadt, and then of course the 5-1 humiliation at Bayern. 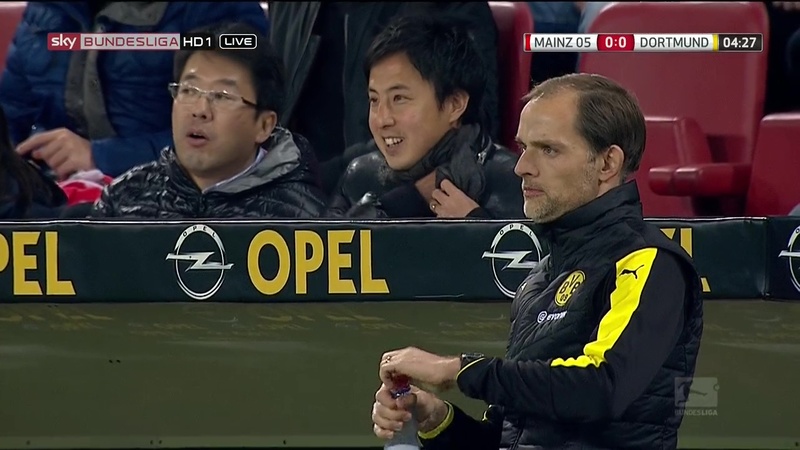 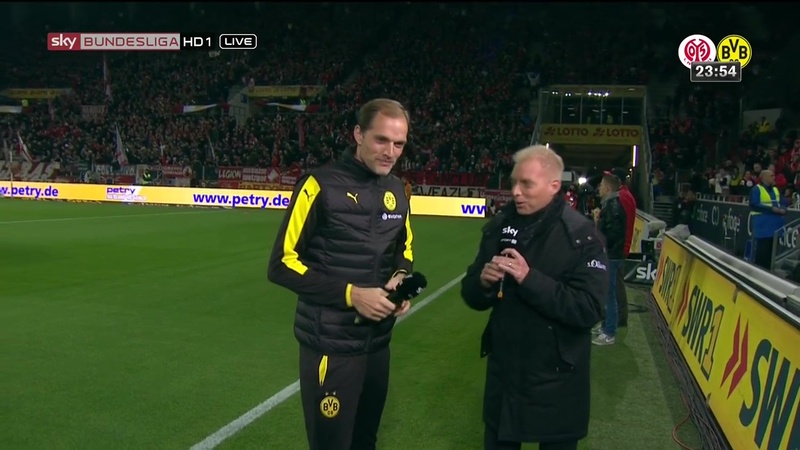 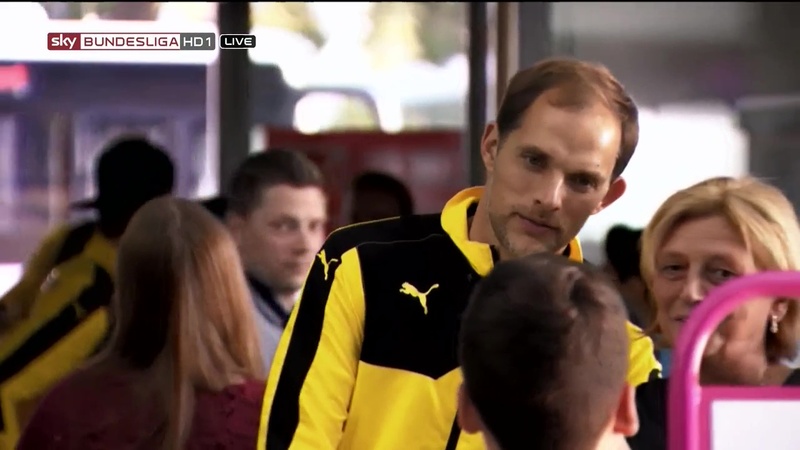 MD9 served up a game almost as special as that one, with it being Thomas Tuchel’s first return to Mainz as an opposition coach. 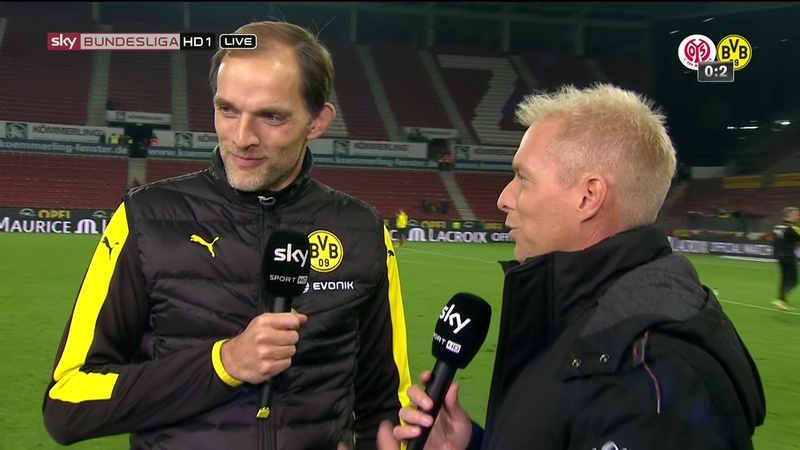 His homecoming of sorts was a success as far as Dortmund were concerned, they got back to winning ways with a 2-0 defeat of Mainz. 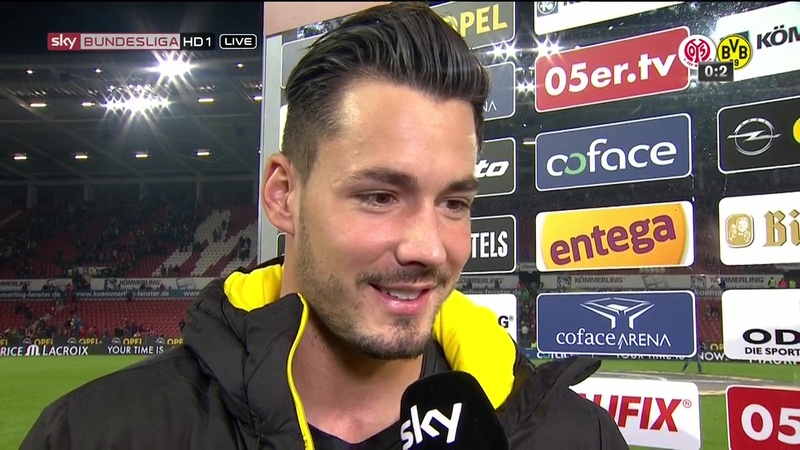 Nothing showy, just an effective and efficient win and I’m happy to say Roman Bürki played better than he did against Bayern. 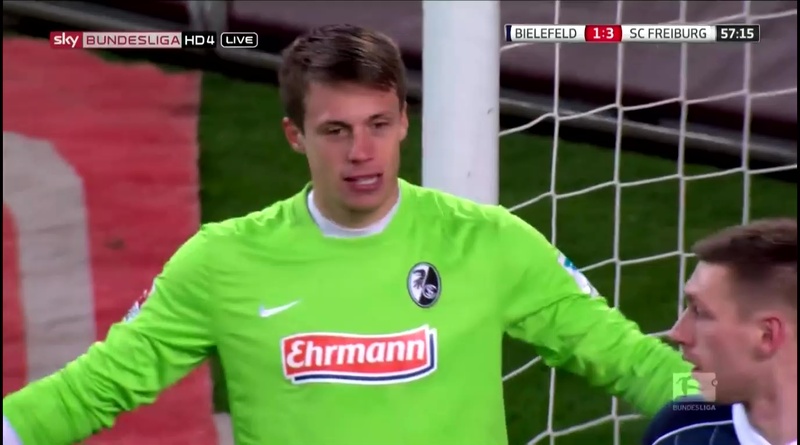 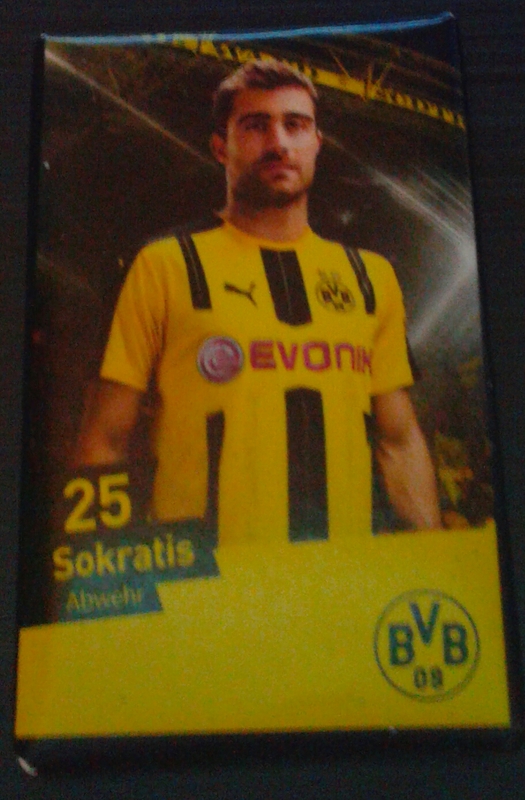 He had better luck then Weidenfeller did anyway. 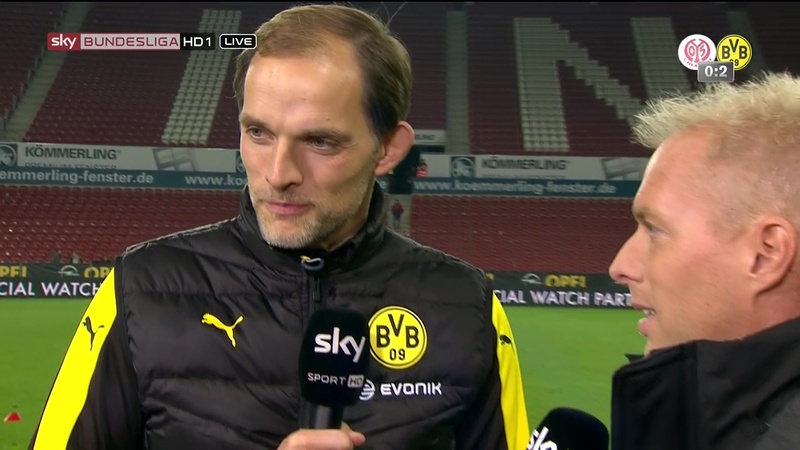 Last season Dortmund played Mainz on a Friday evening too, eventually the game ended 4-2 in Dortmund’s favour. 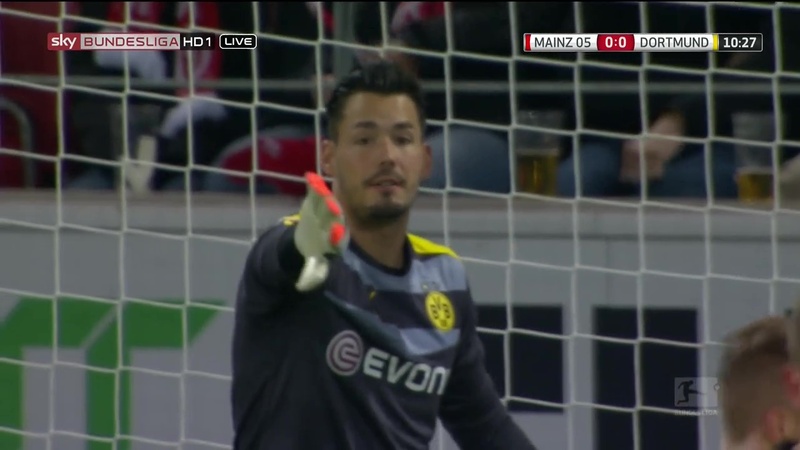 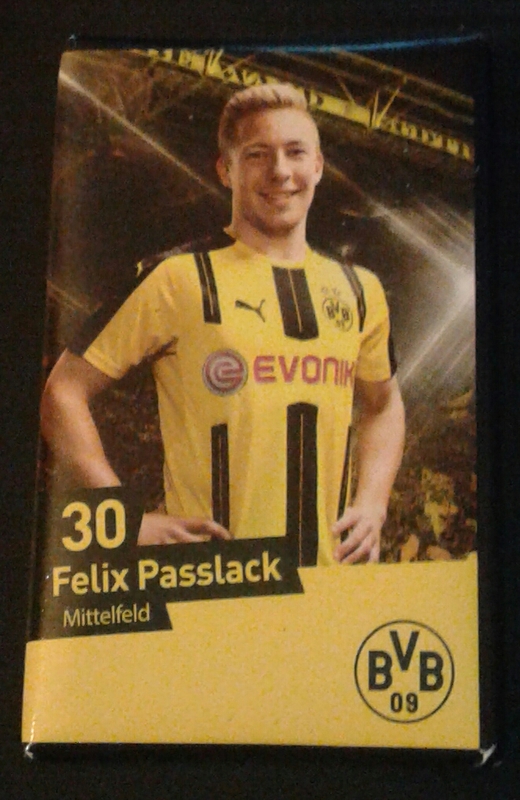 But not before Dortmund went 1-0 down courtesy of a very humiliating goal which involved Weidenfeller almost falling into one of his own defenders and the ball then being put in the net by a very alert Elkin Soto who made good use of the keeper being way off his line. 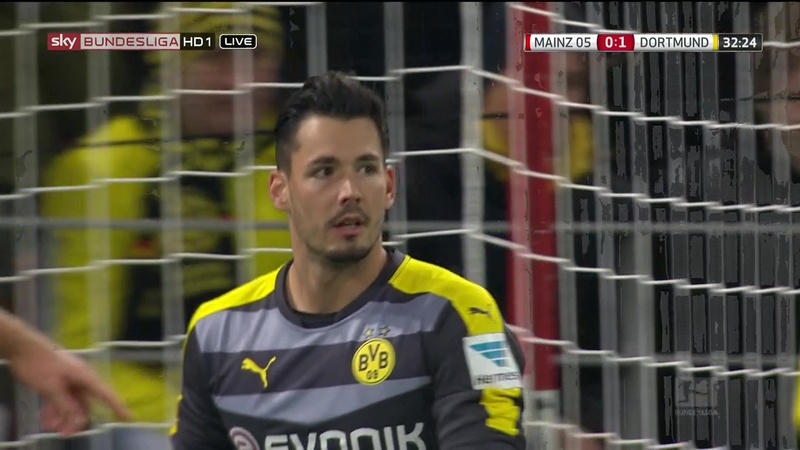 Marco Reus got an opportunity just inside the box to make it 1-o before the end of the first half but he failed to capitalize on the chance, the lay off from Aubameyang was decent but Reus’ initial pass could have been better. 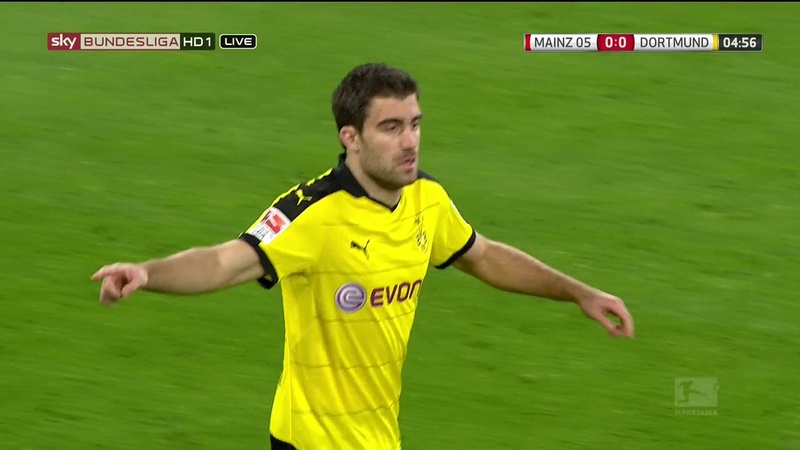 As could much of the passing in the final third throughout the first half. 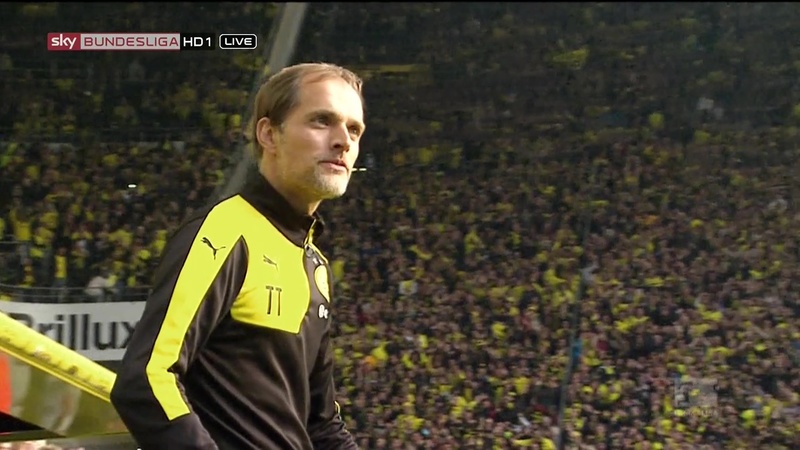 Dortmund went into the half time break with a hard earned 1-0 lead, but they didn’t deserve to be 2-0 up. 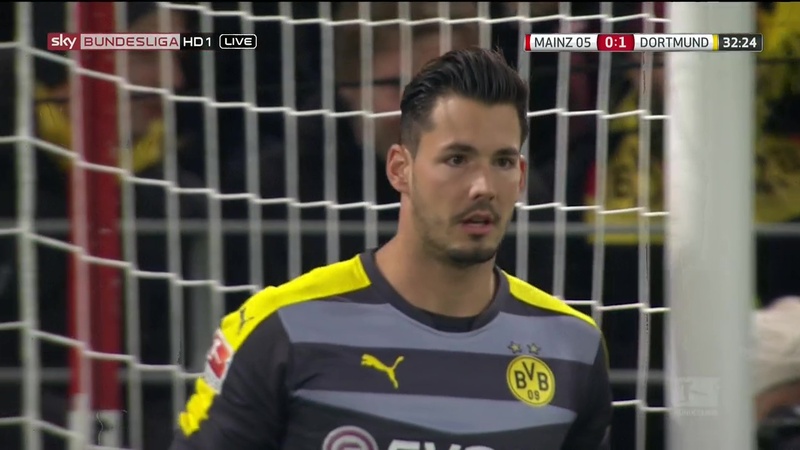 They were handed an opportunity right at the start of the second half to make it 2-0 when Nico Bungert was judged to have brought Aubameyang down. 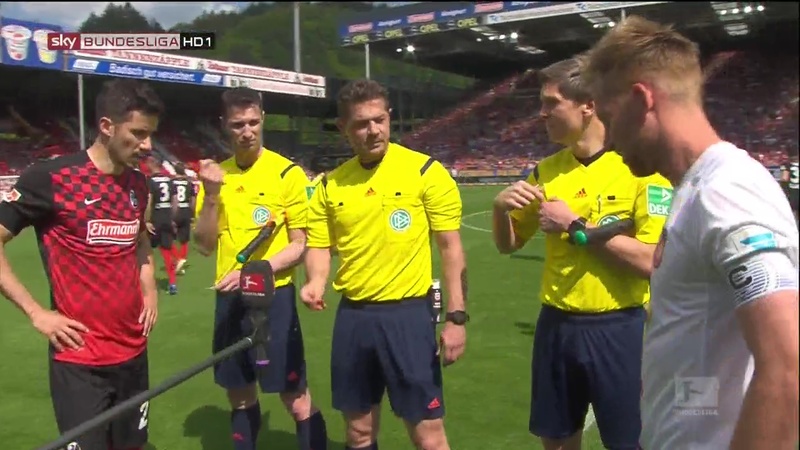 It’s a penalty which should never have been given, not only did Bungert play the ball but the initial contact was outside the box. 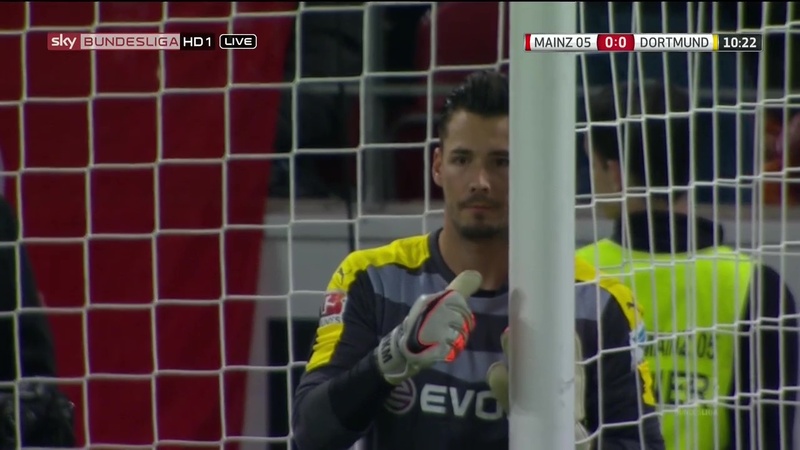 It’s perhaps karma then that the penalty was saved by Karius, according to the commentator he’s saved his last four penalties, so maybe more than just karma there. 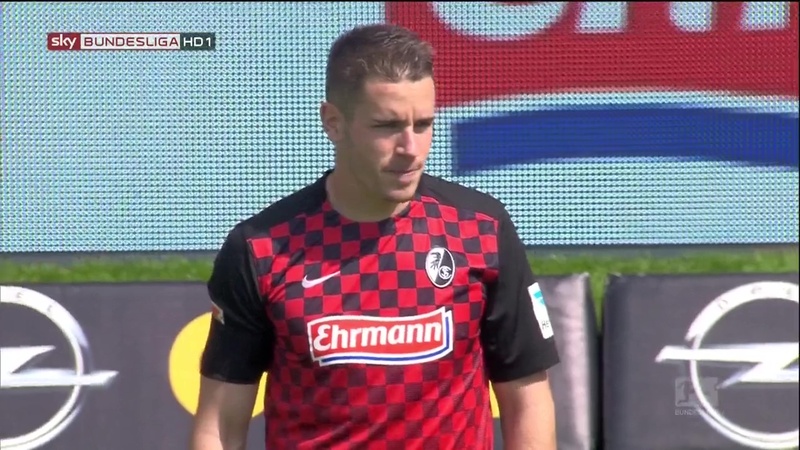 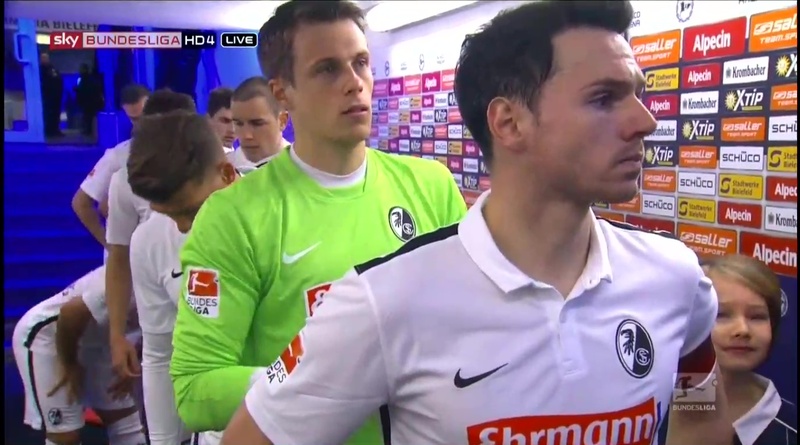 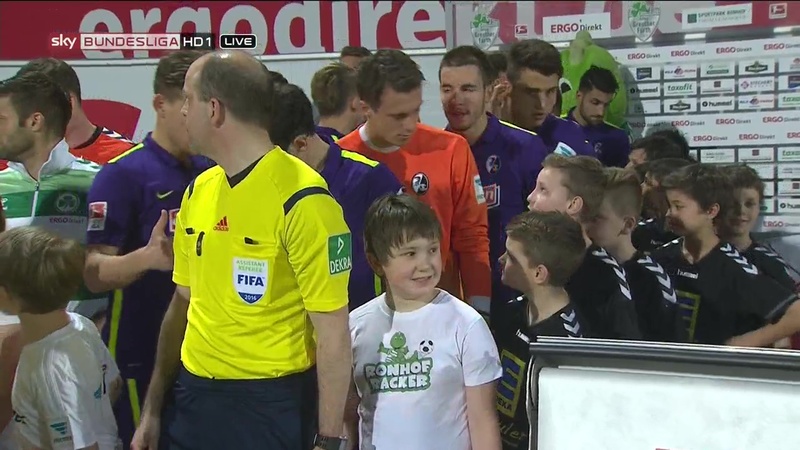 Random Freiburg related fact I have to mention, Florian Niederlechener made a substitute appearance for Mainz in this game, coming on in the 83rd minute for Muto. 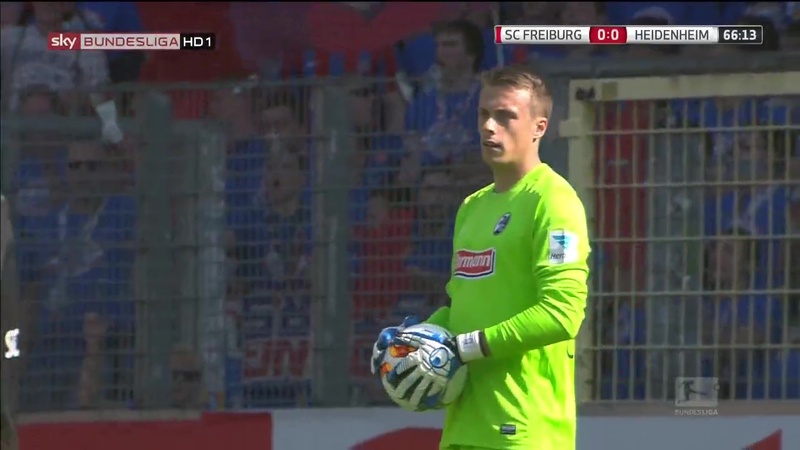 It’s funny, the future Freiburger (temporary of course – he’s only on loan) against former Freiburger’s Matze Ginter and Roman Bürki. 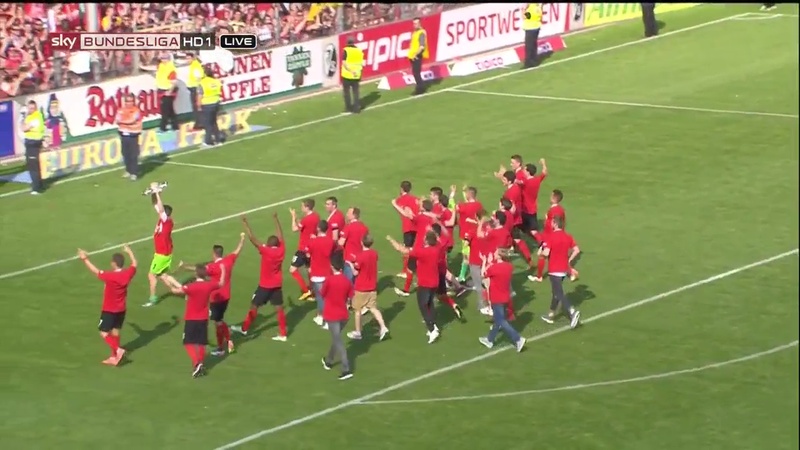 Elsewhere in the Bundesliga Bayern followed up their demolition of Dortmund with a surprising 1-0 win over Bremen, not surprising they won, just the scoreline. 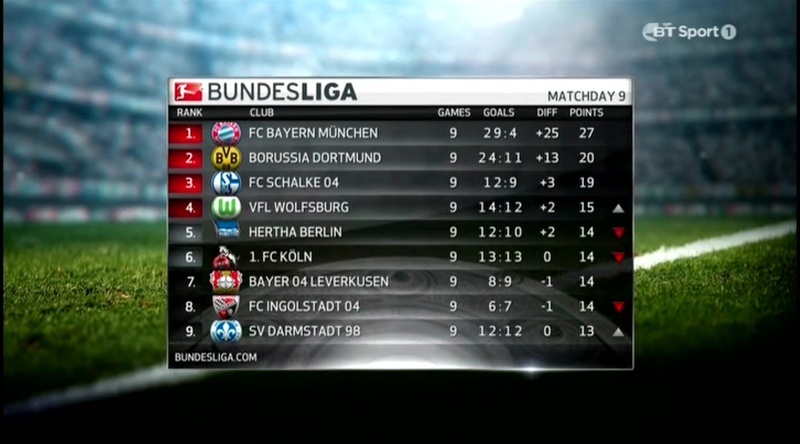 Holding Bayern to just the one goal is an impressive feat, though it makes no difference of course. 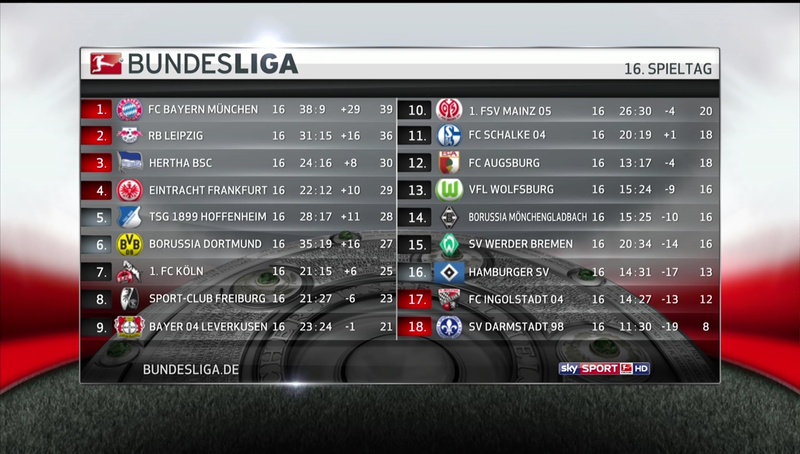 Whilst beating Bayern would probably be expecting too much Bremen could certainly have done with the points. 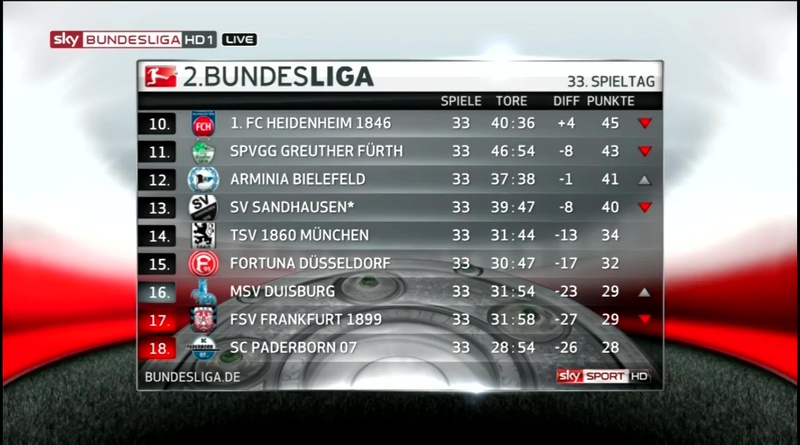 They could at least be grateful that both Augsburg and Hoffenheim lost.